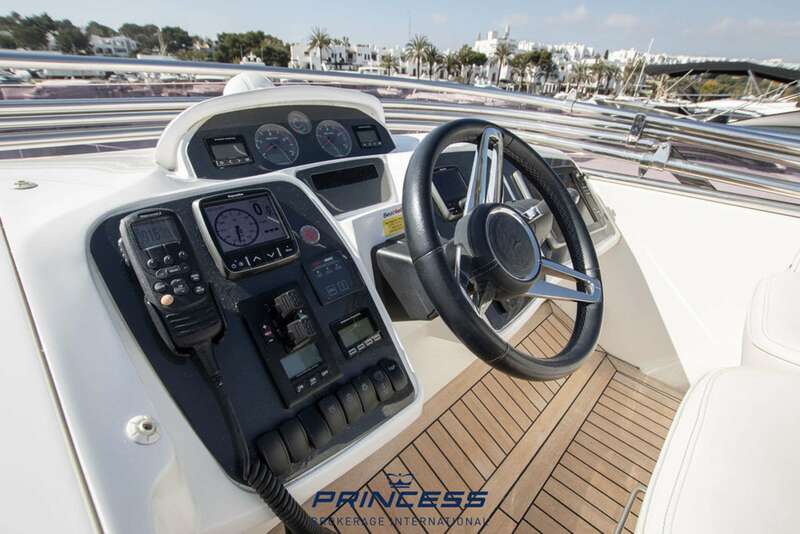 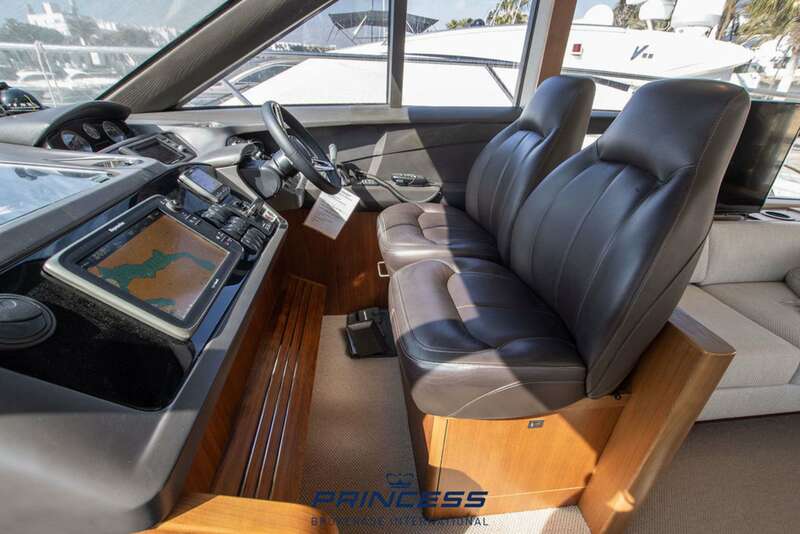 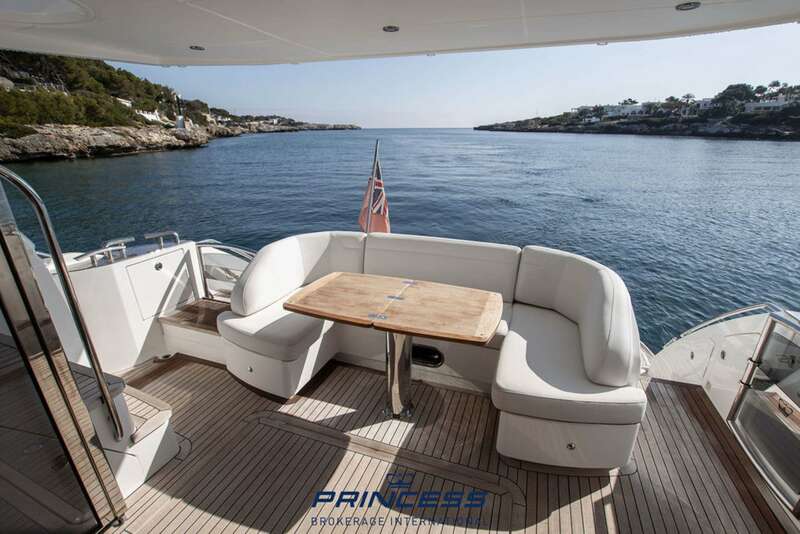 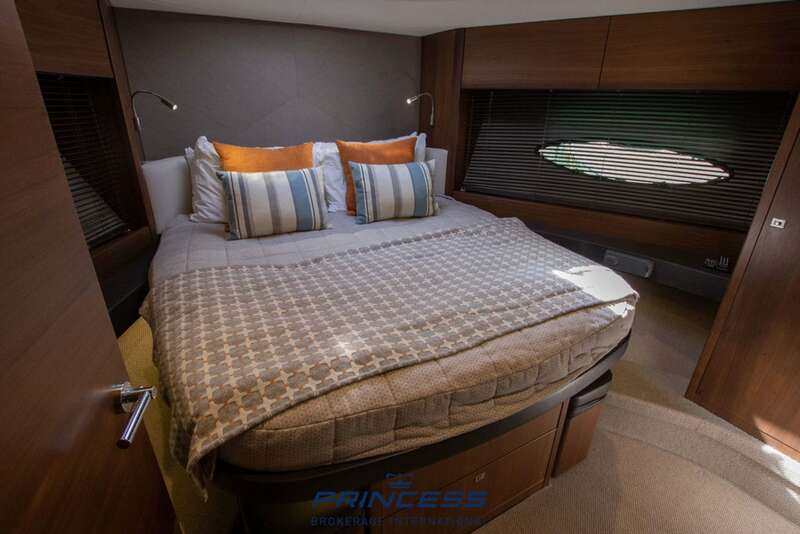 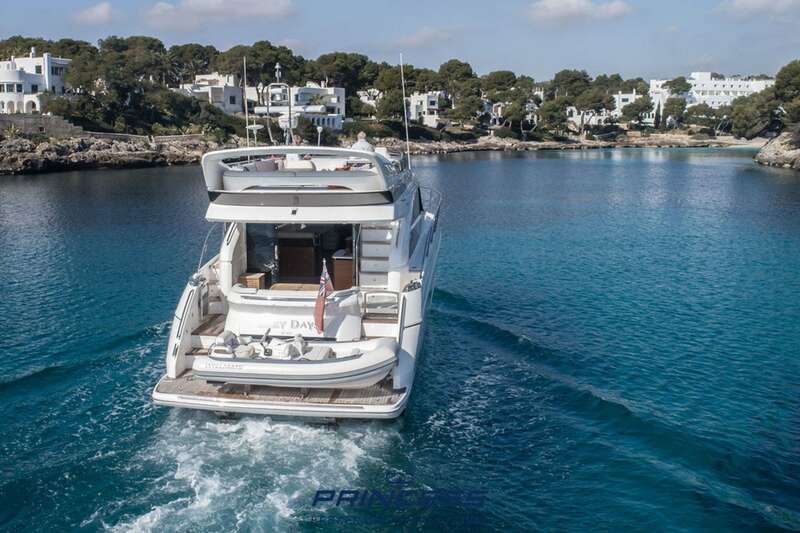 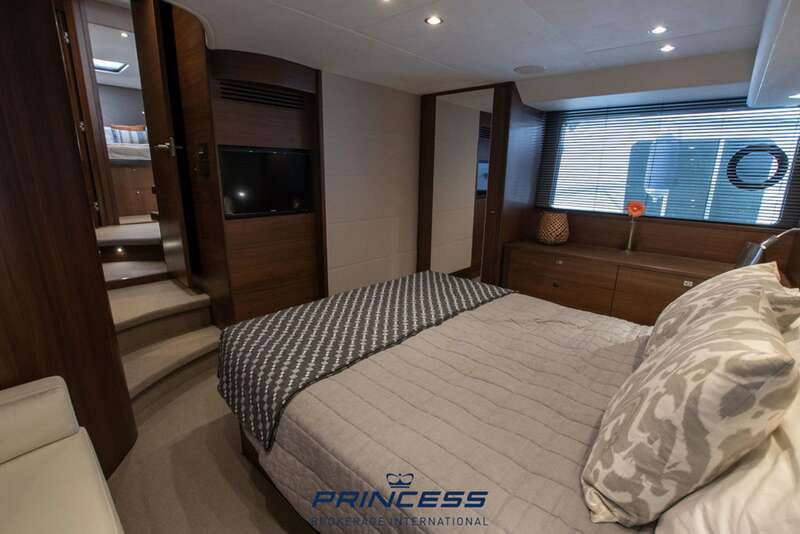 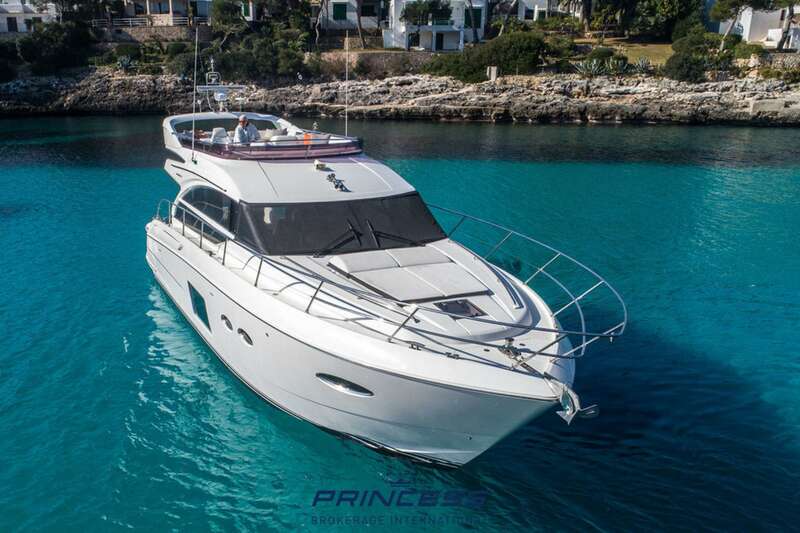 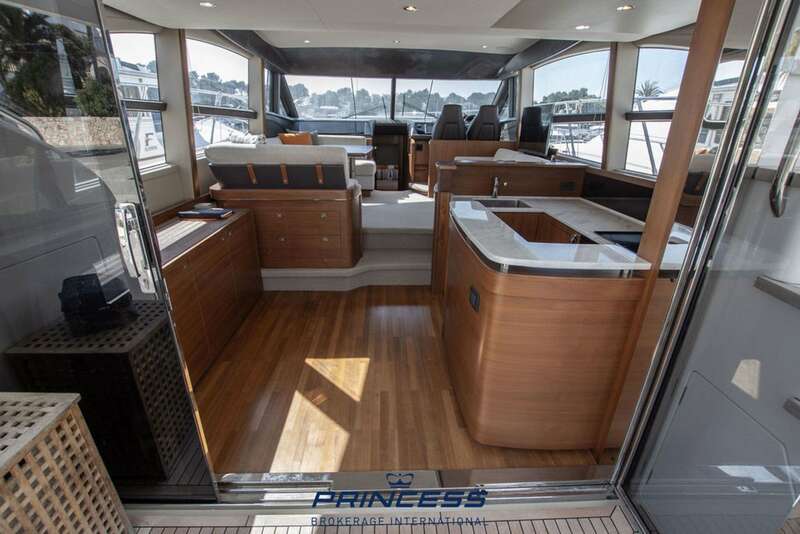 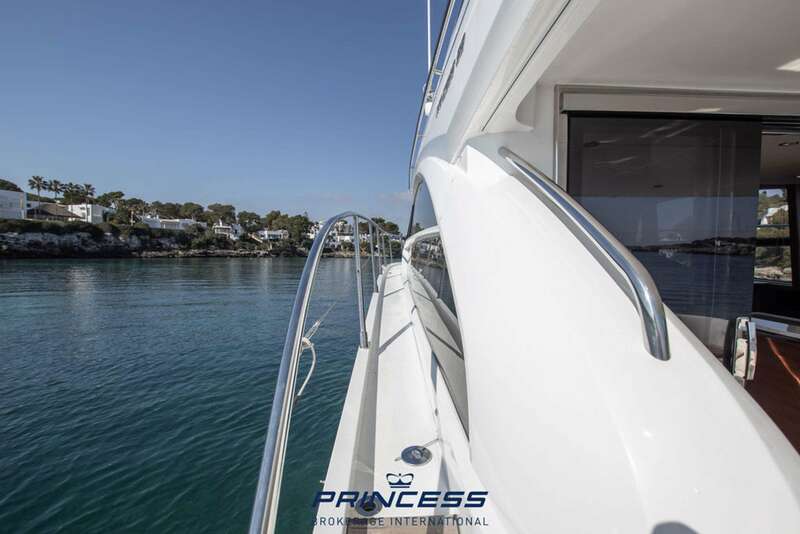 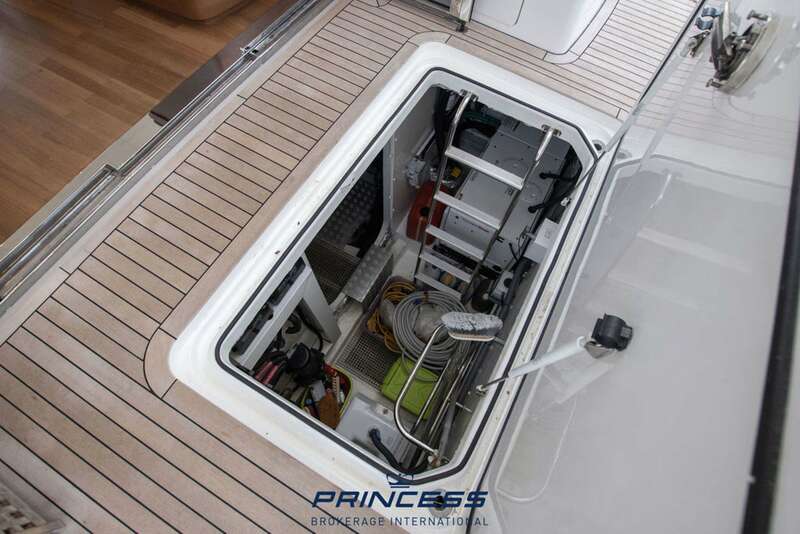 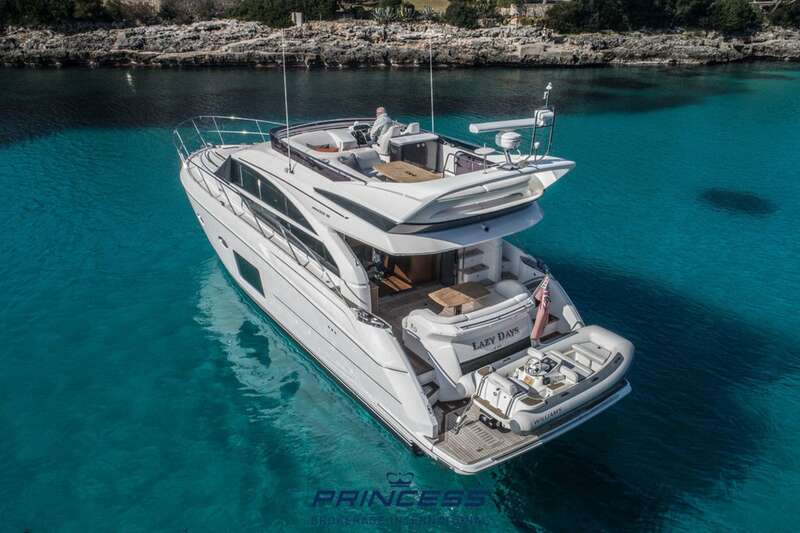 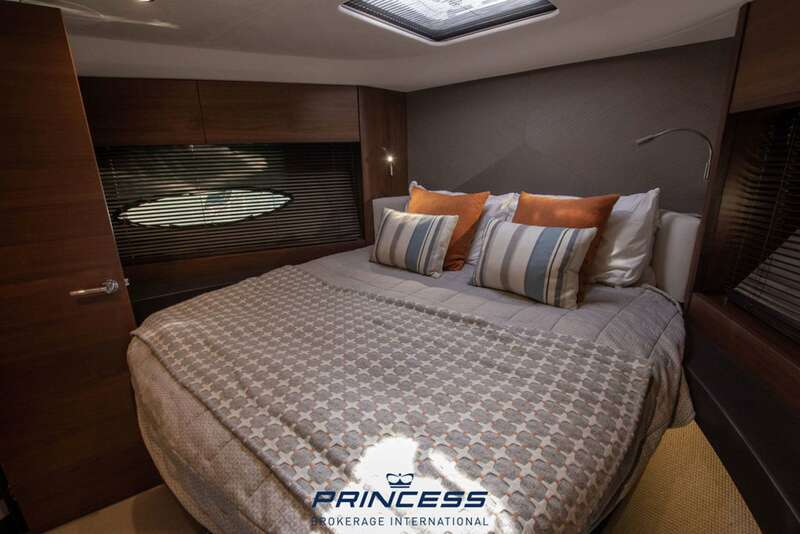 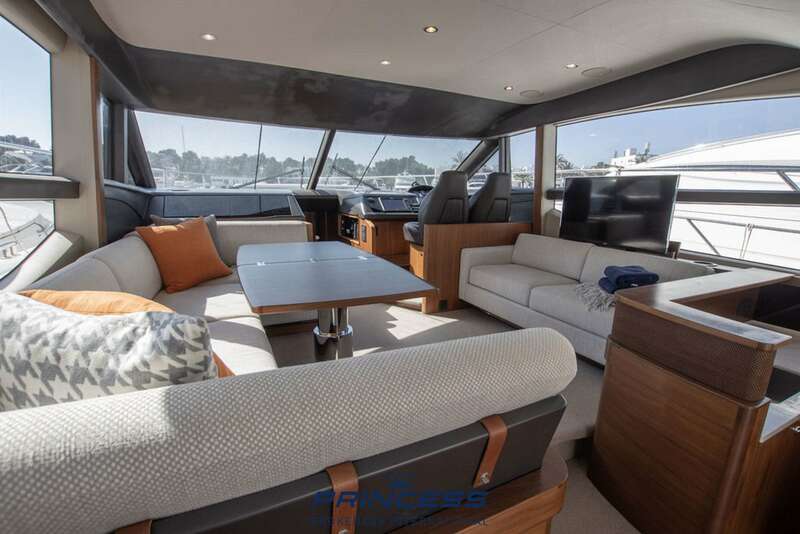 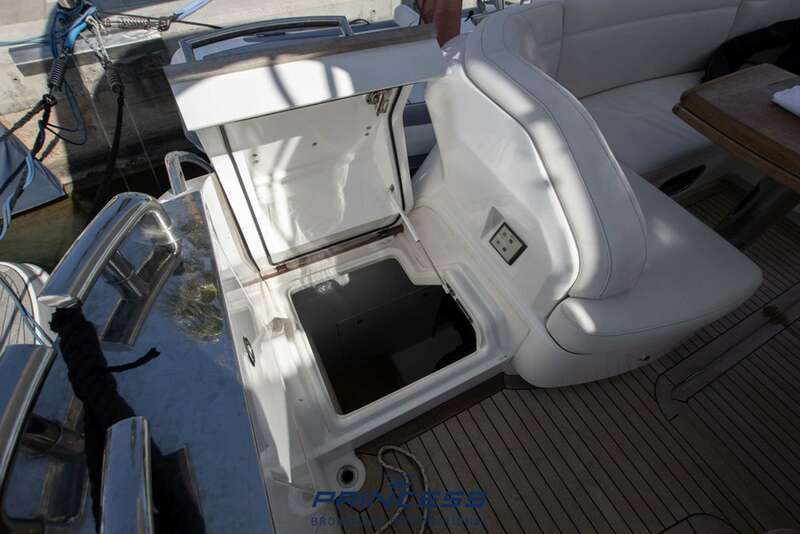 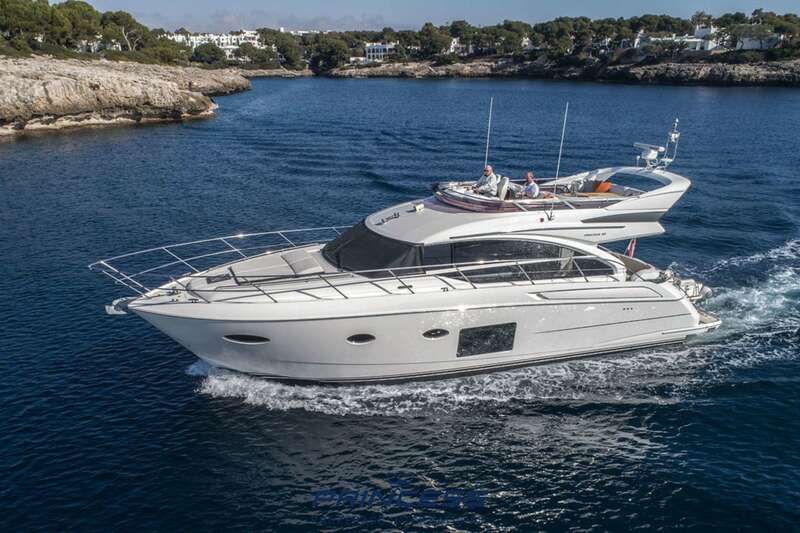 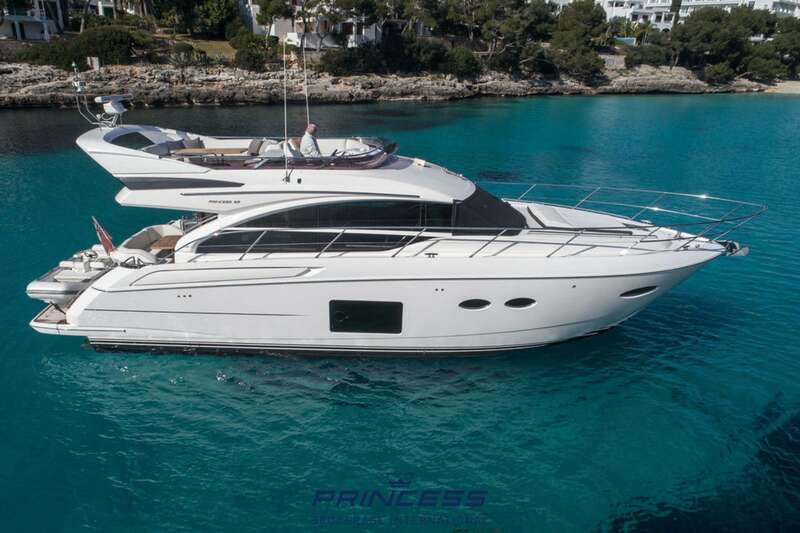 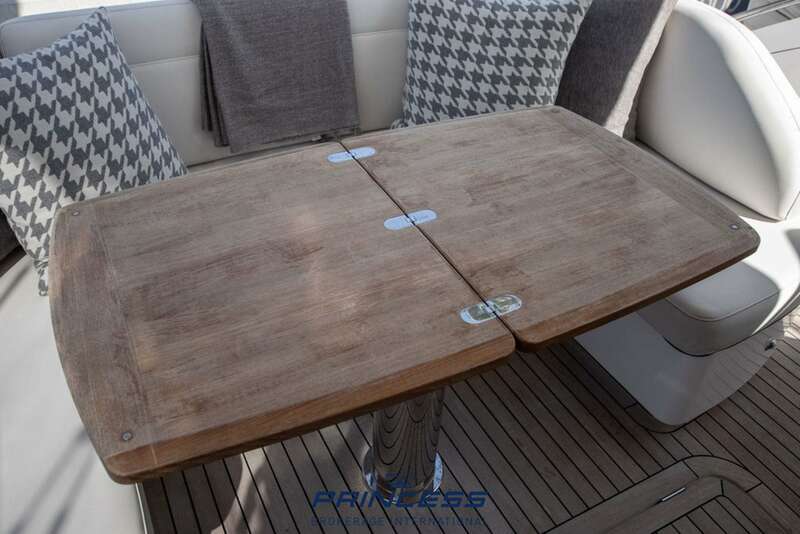 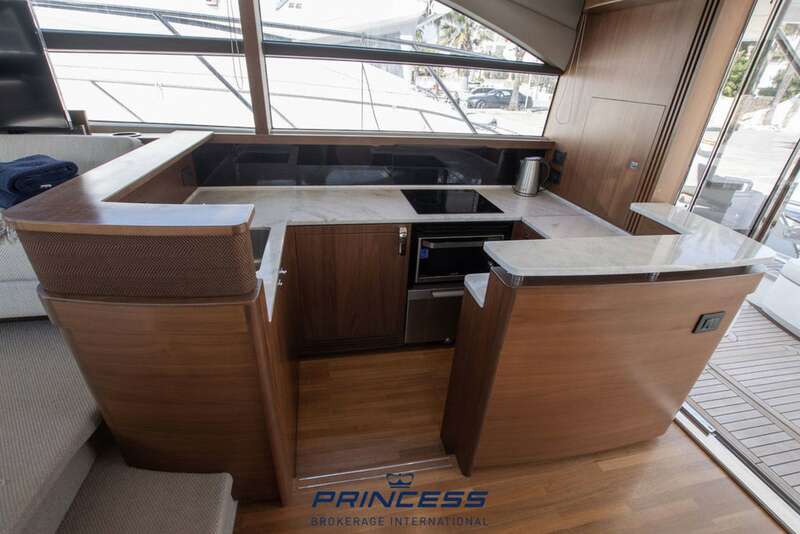 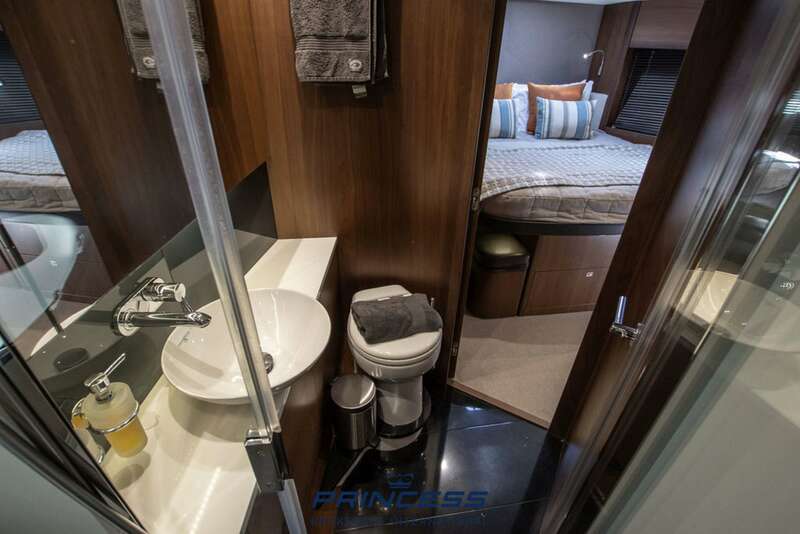 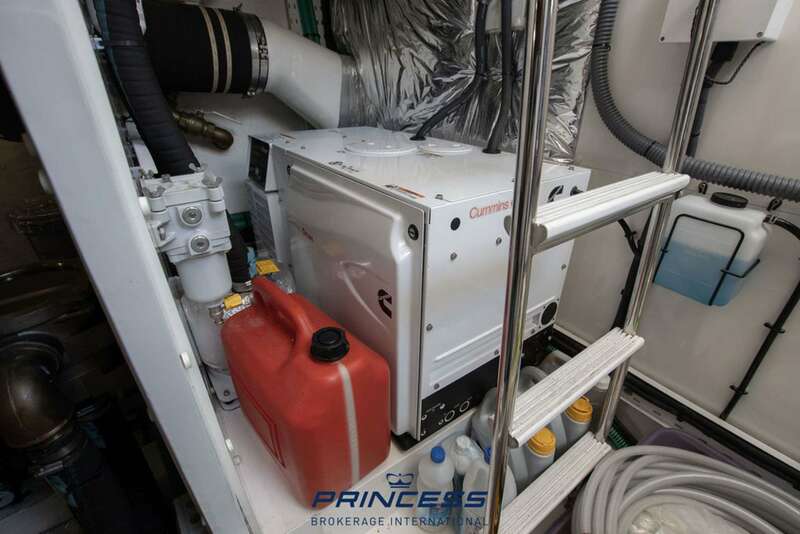 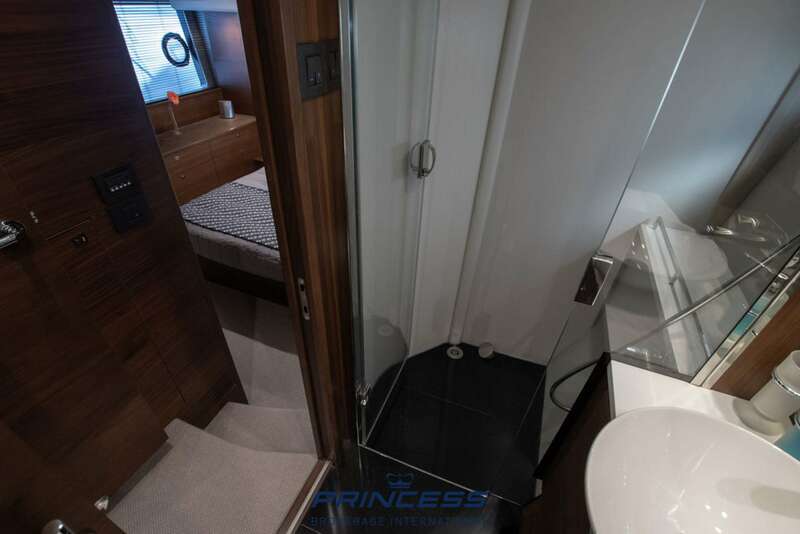 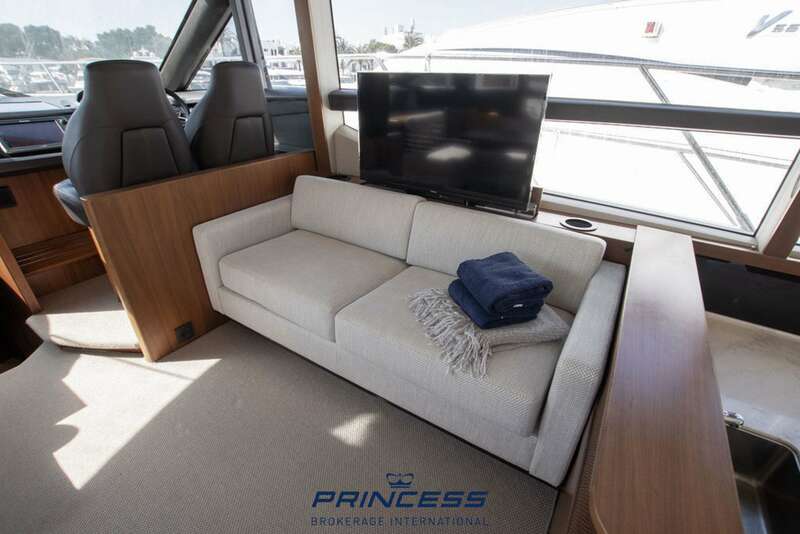 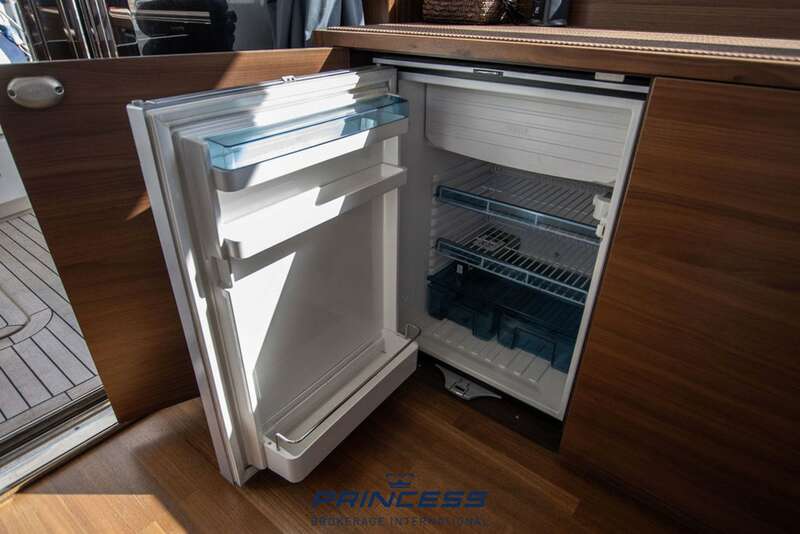 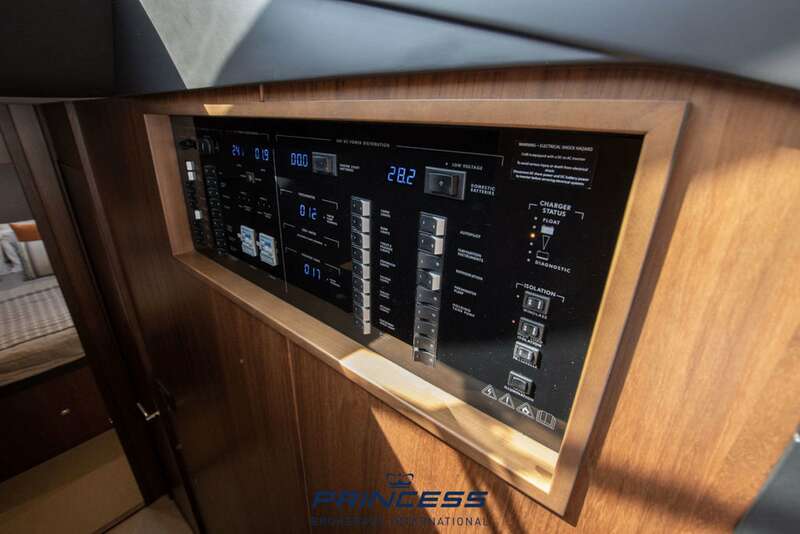 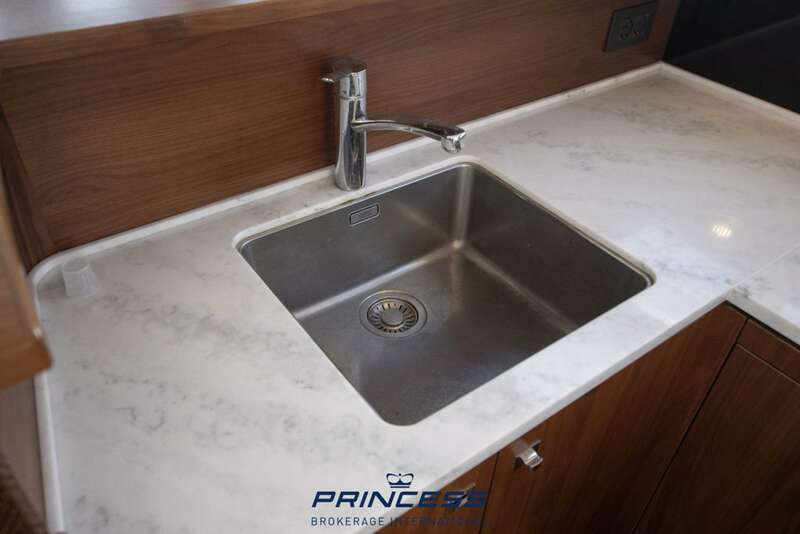 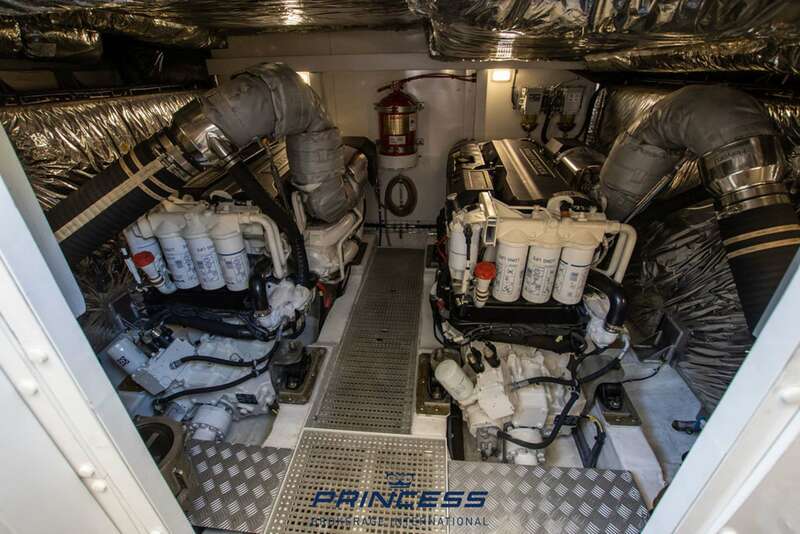 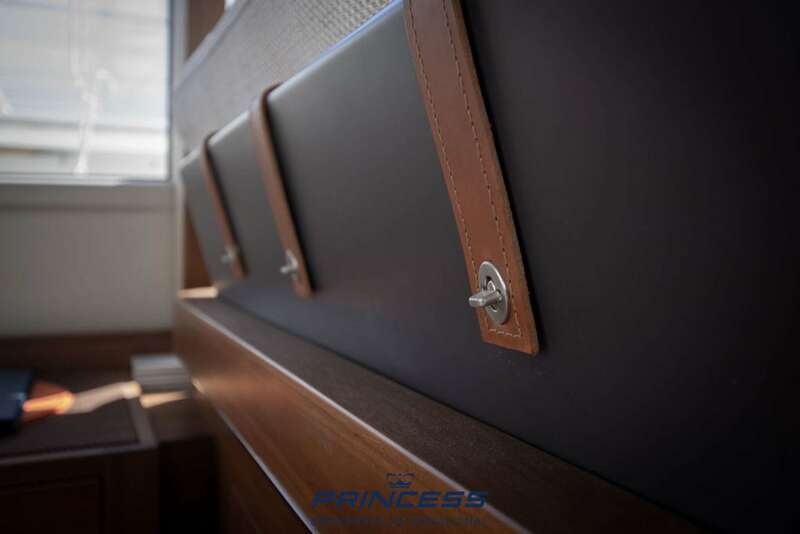 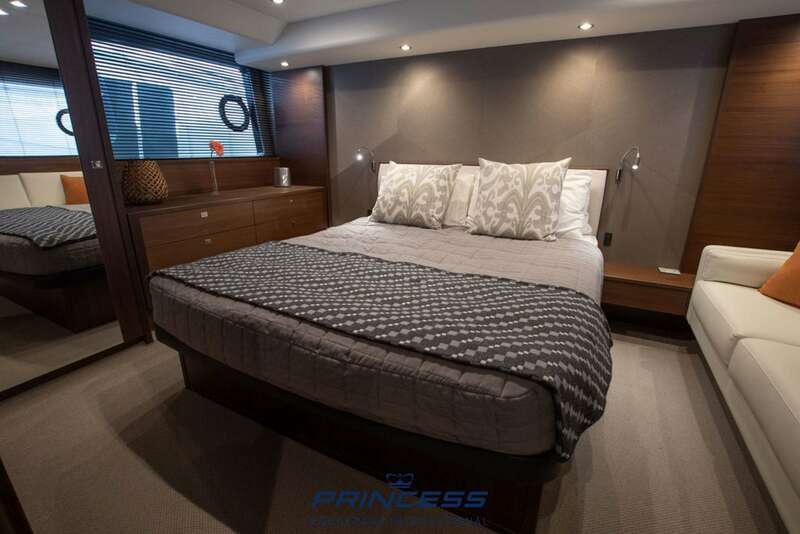 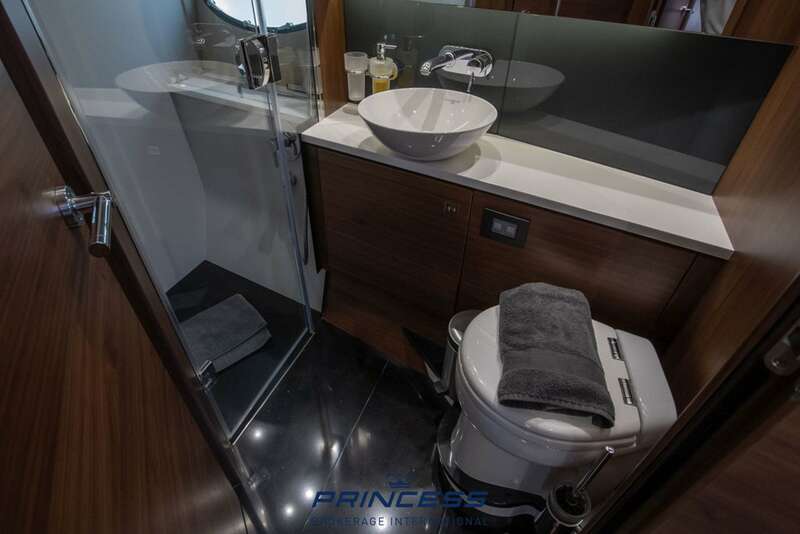 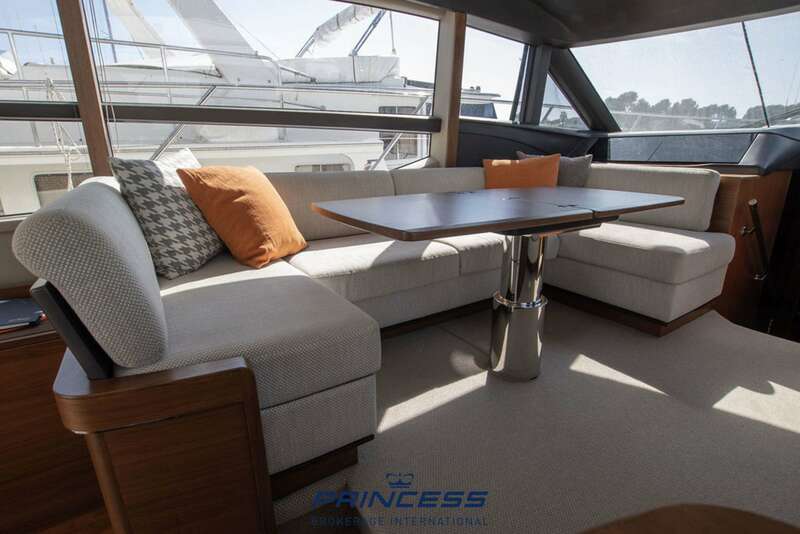 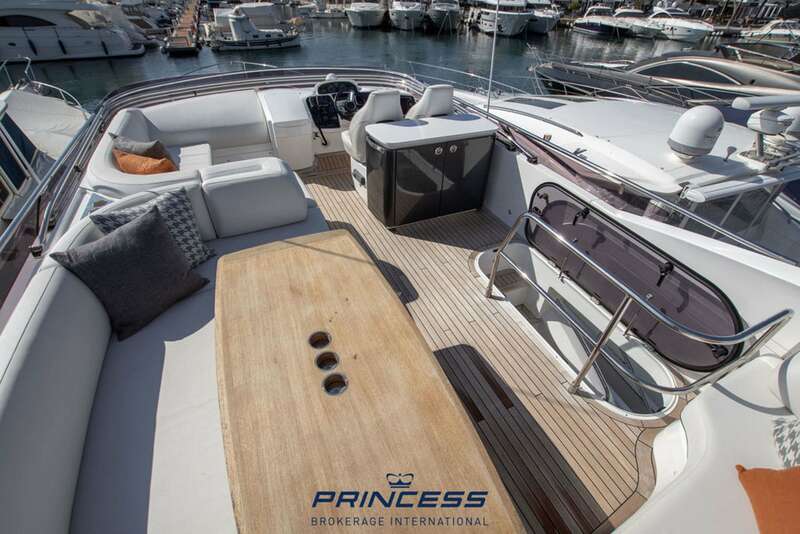 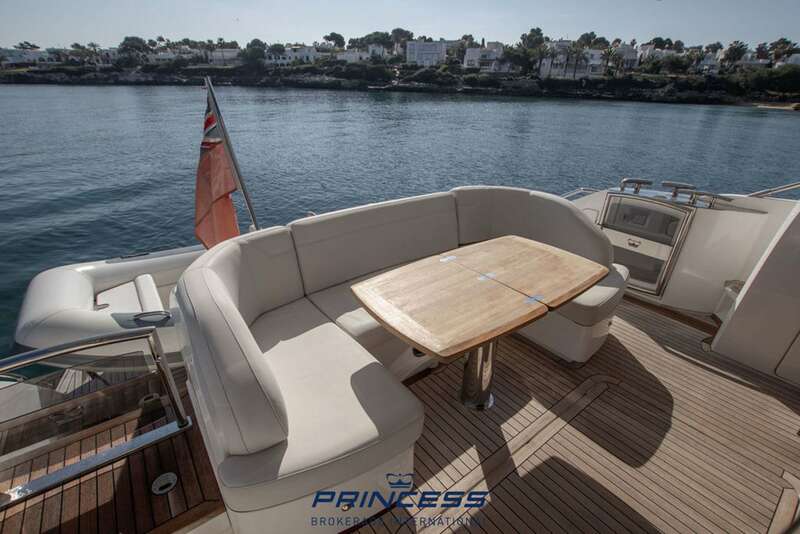 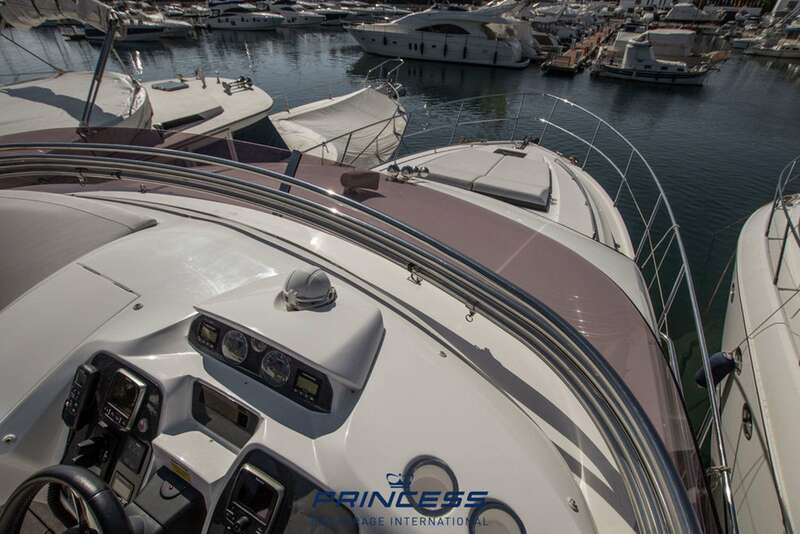 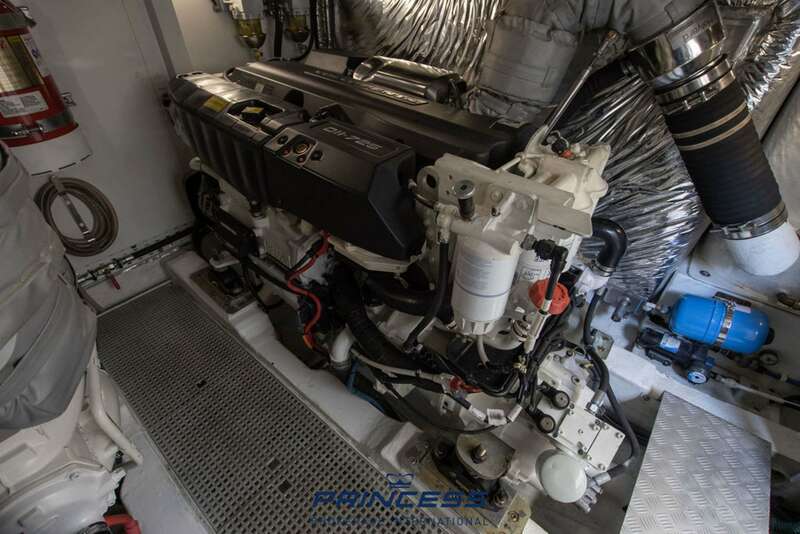 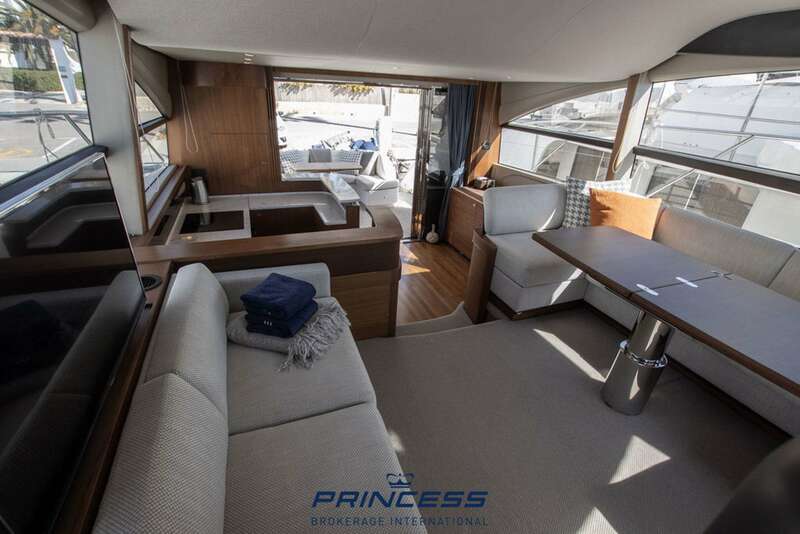 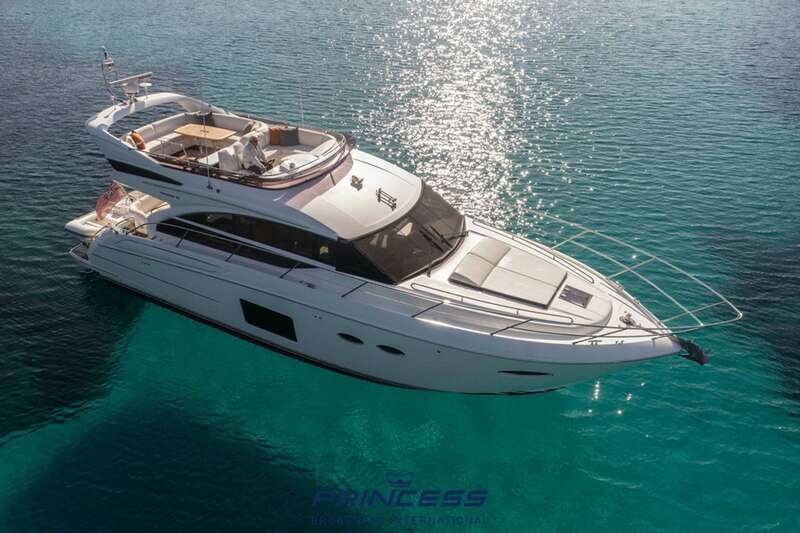 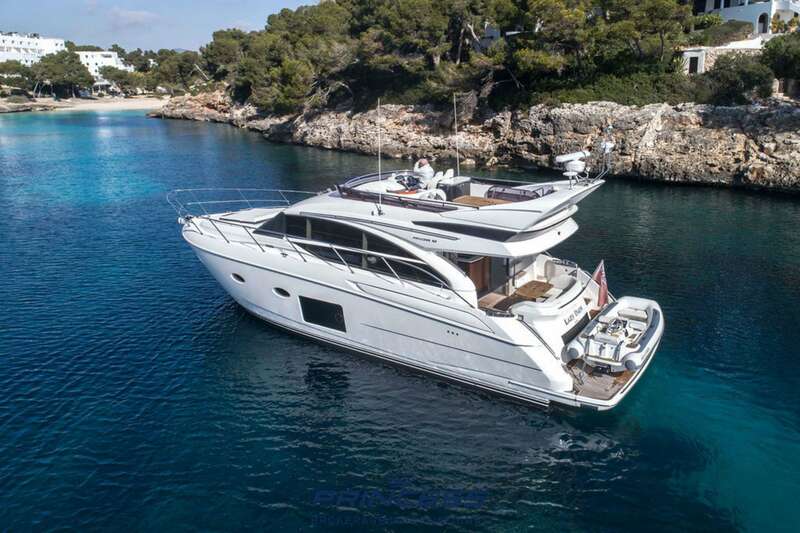 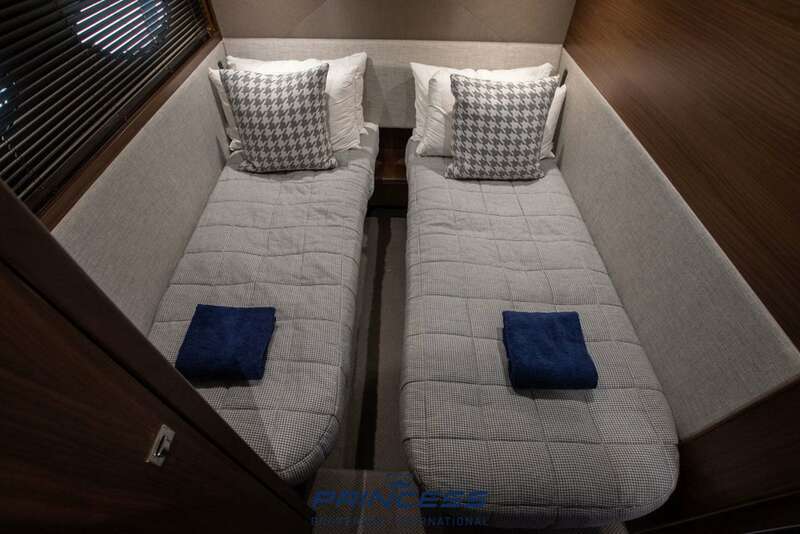 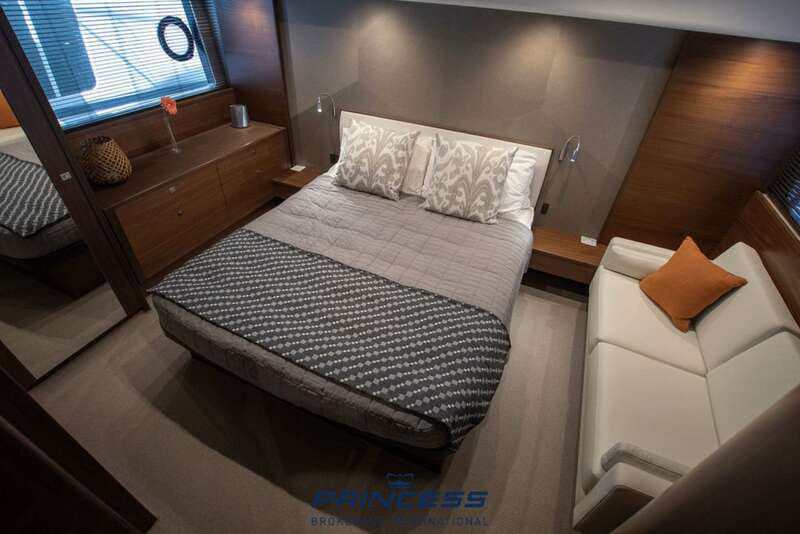 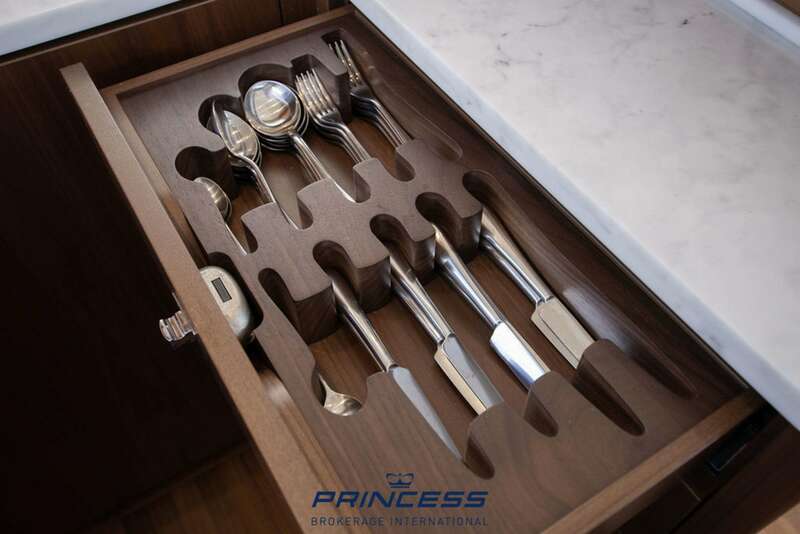 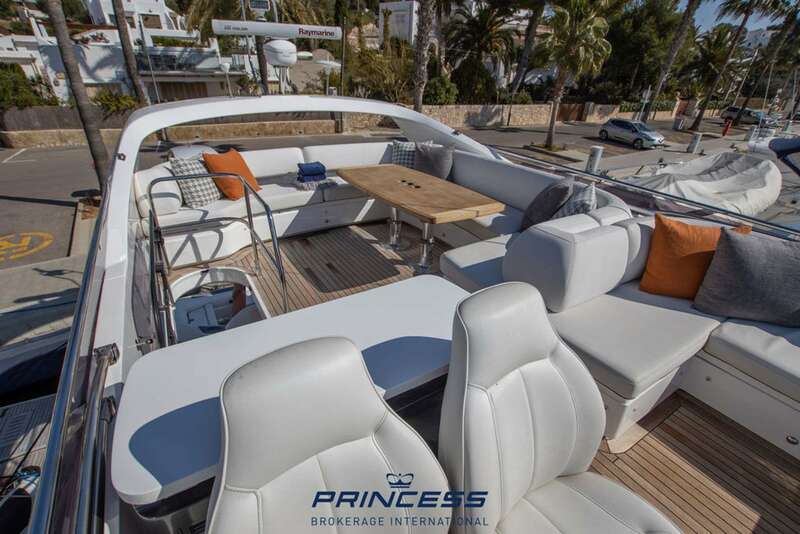 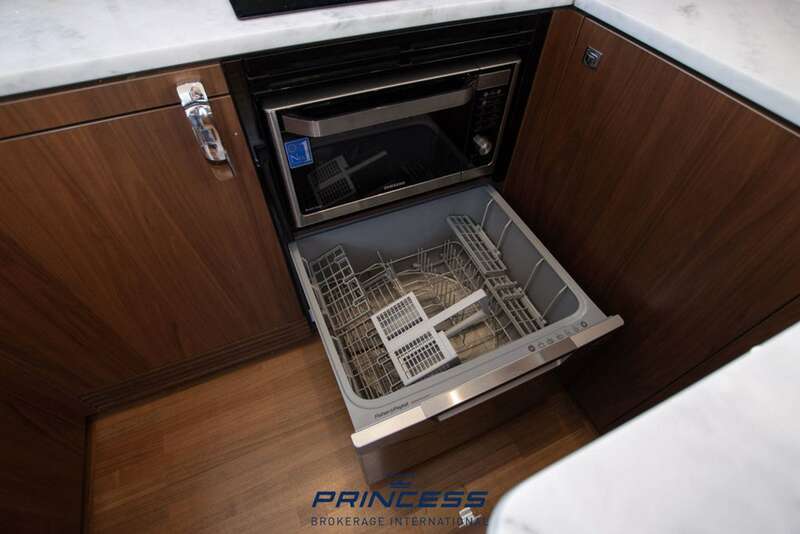 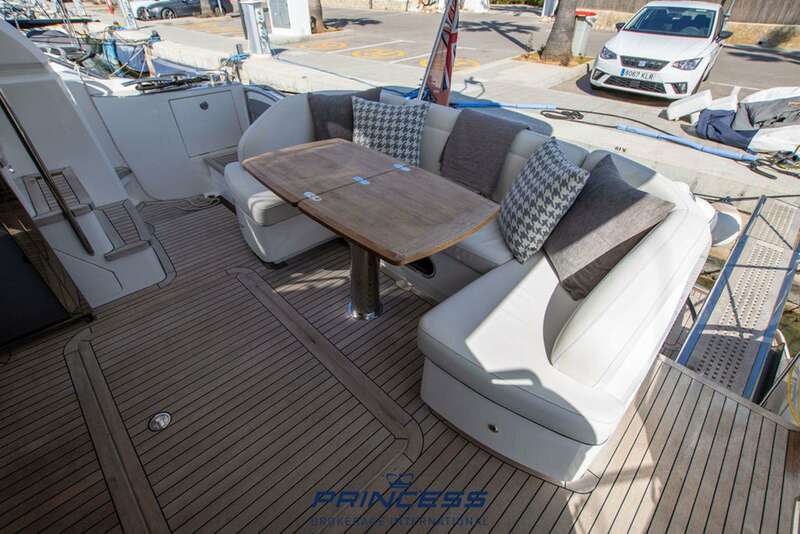 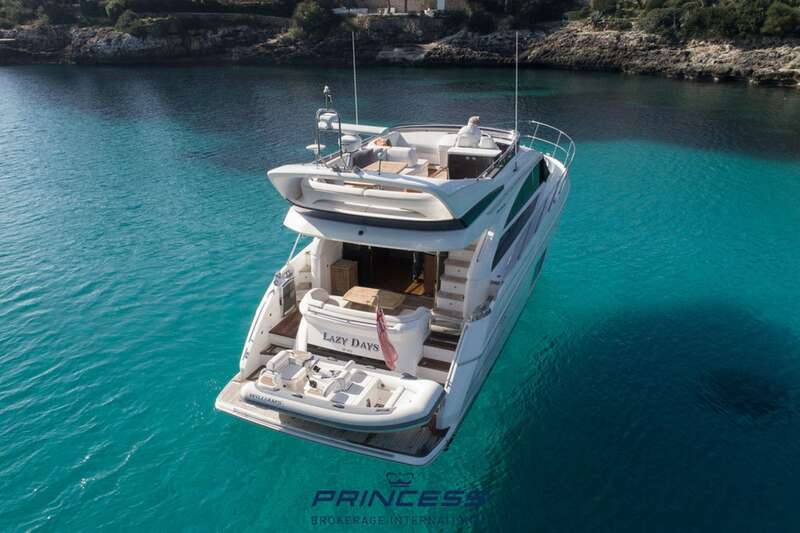 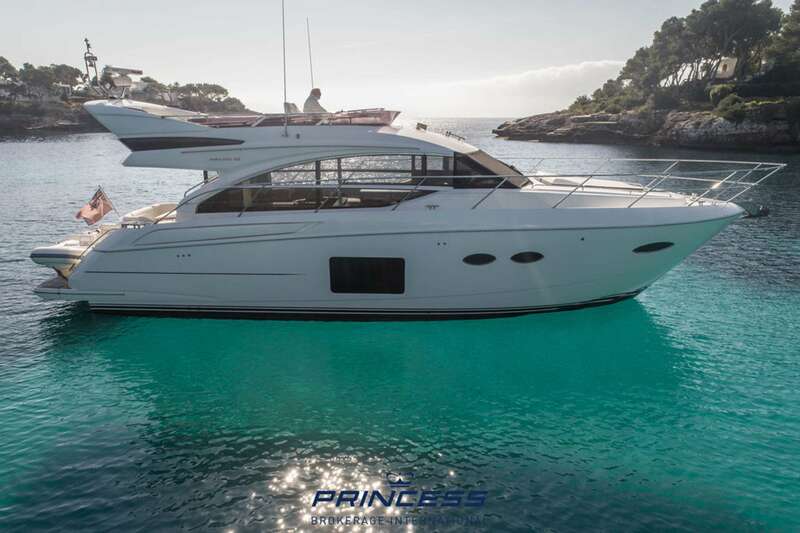 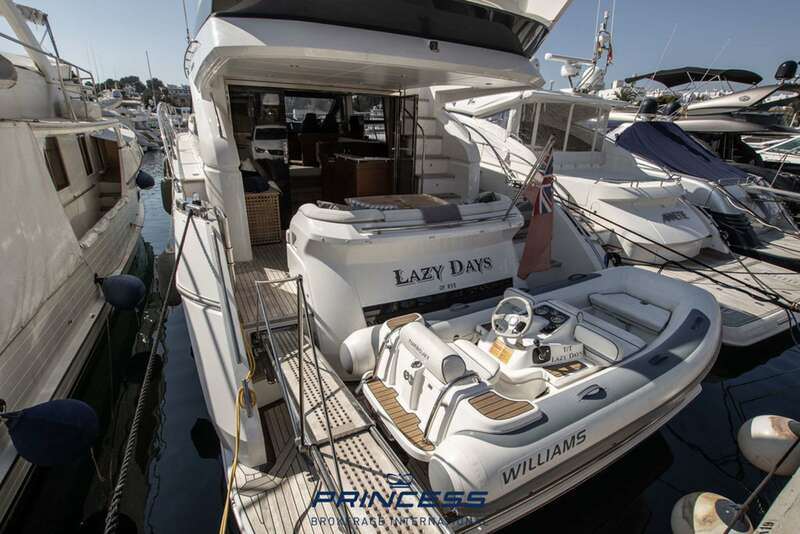 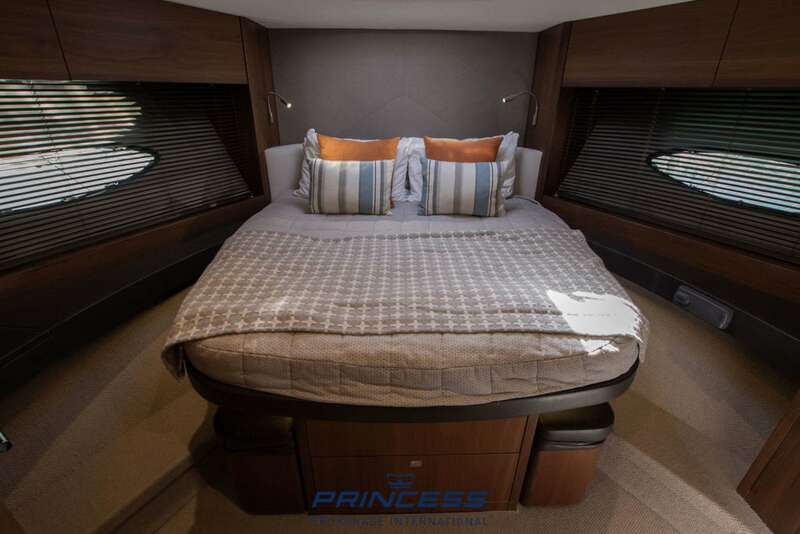 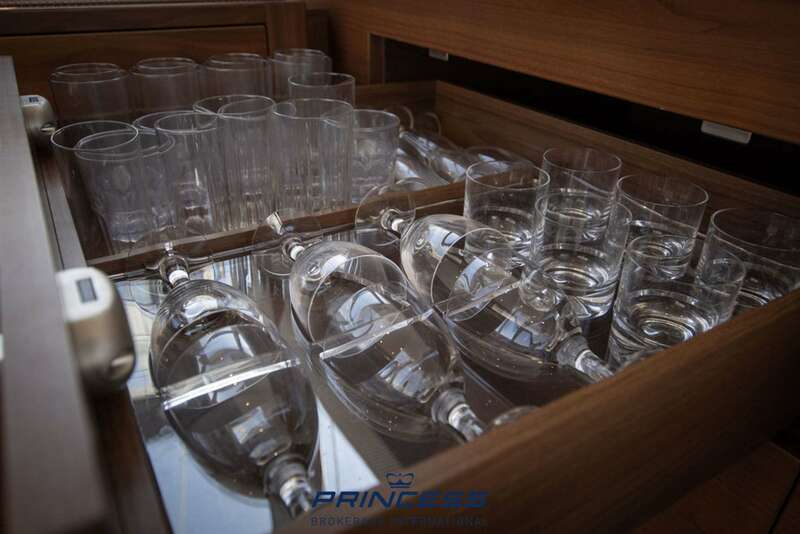 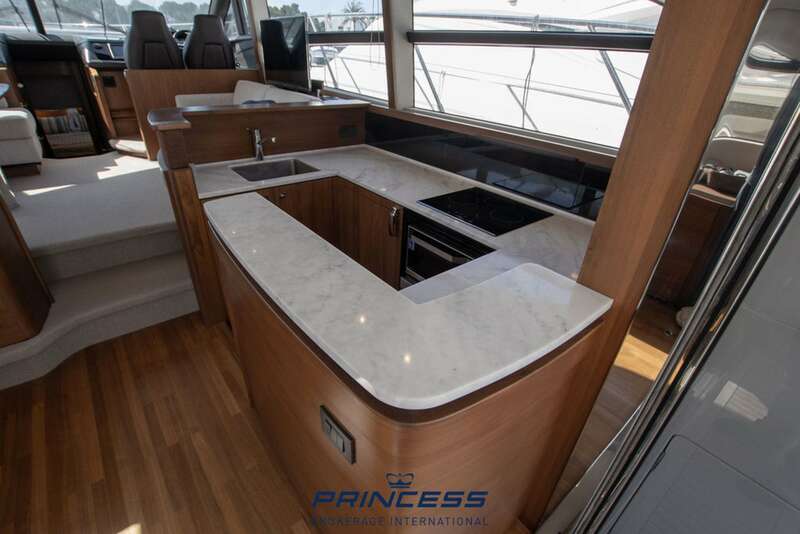 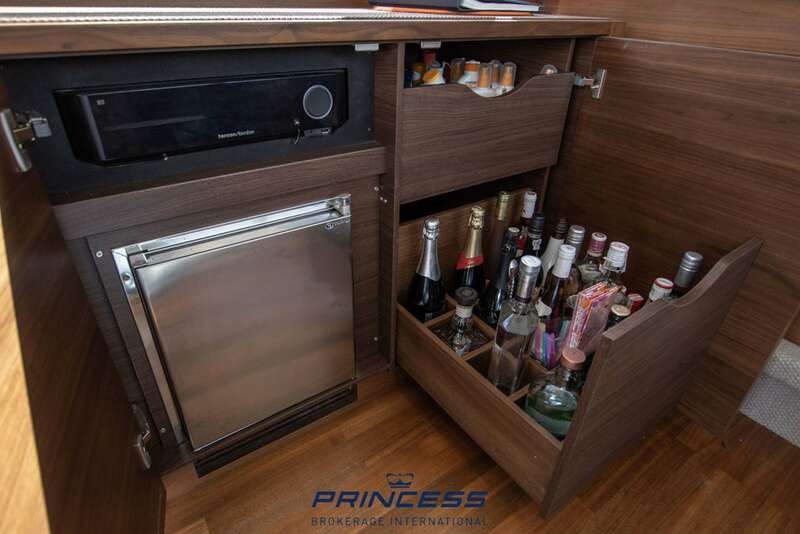 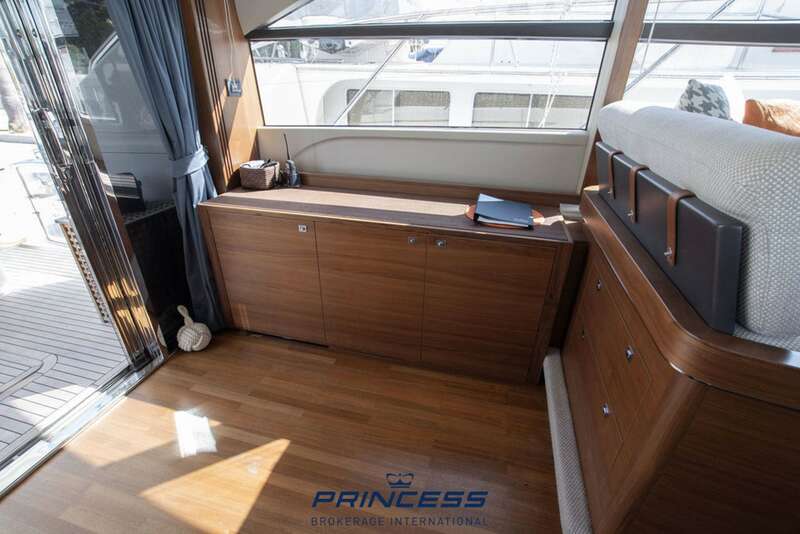 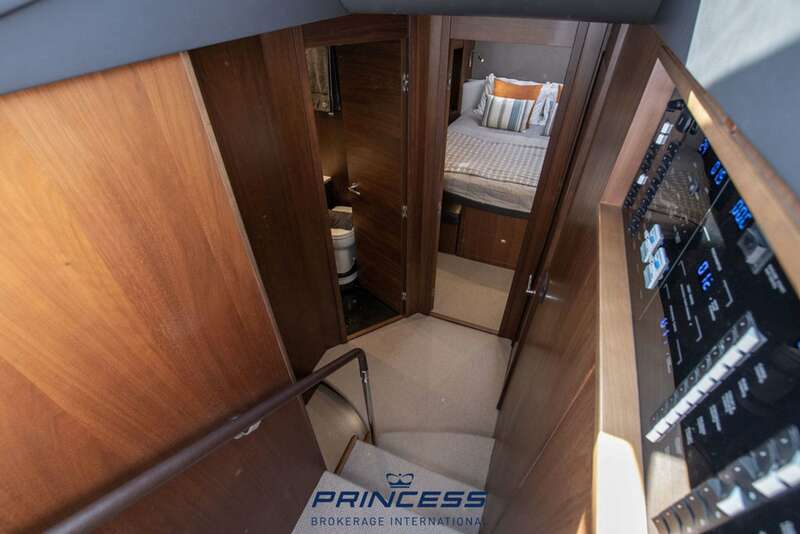 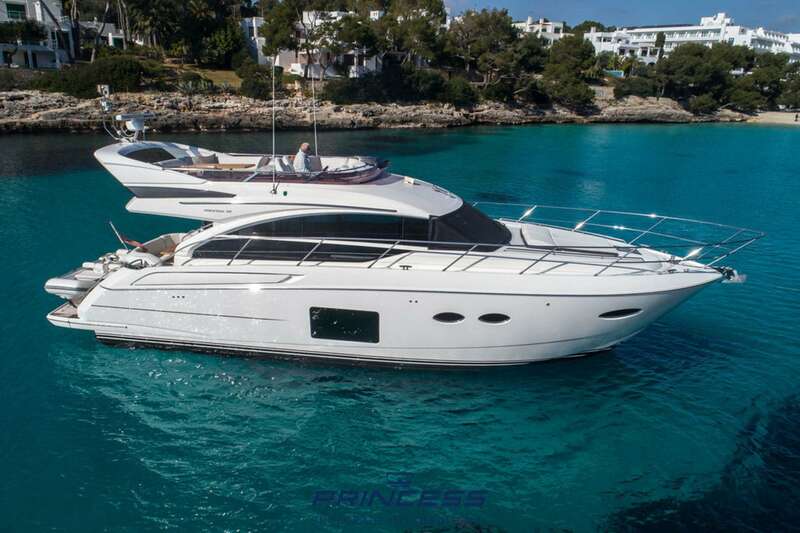 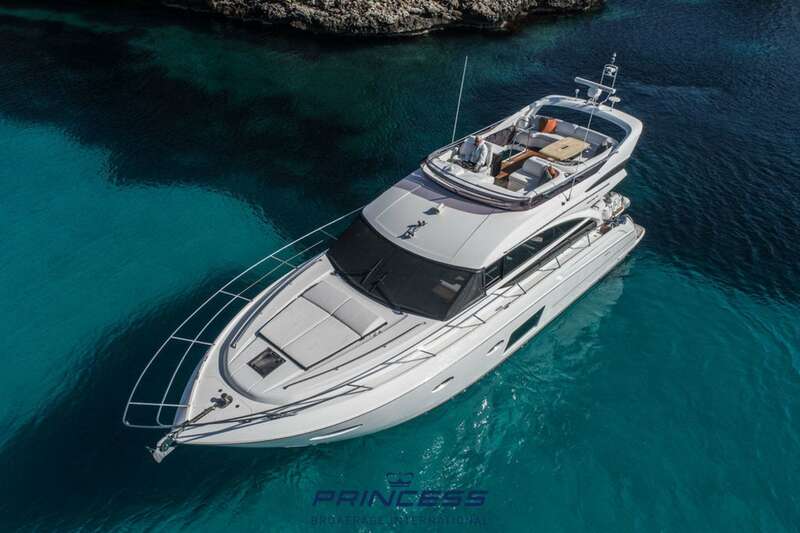 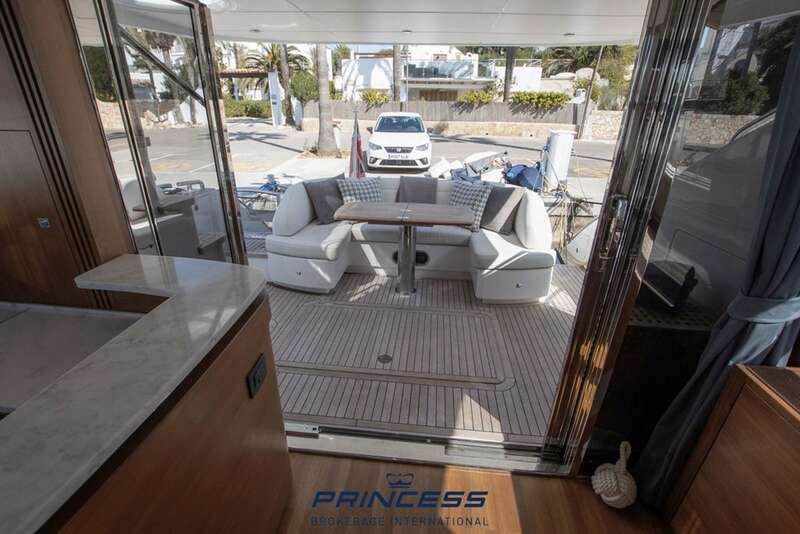 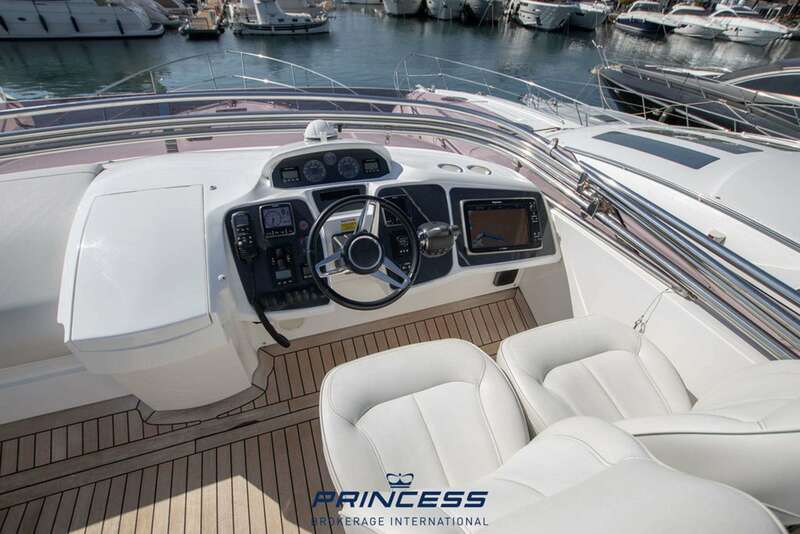 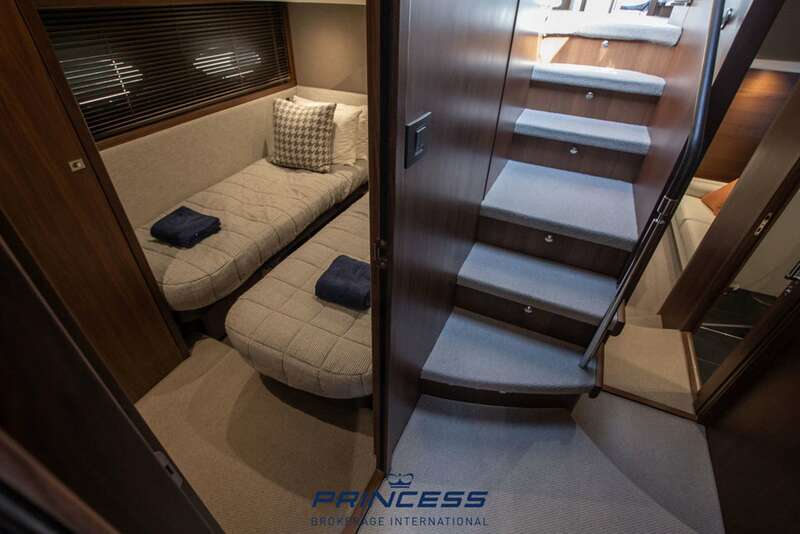 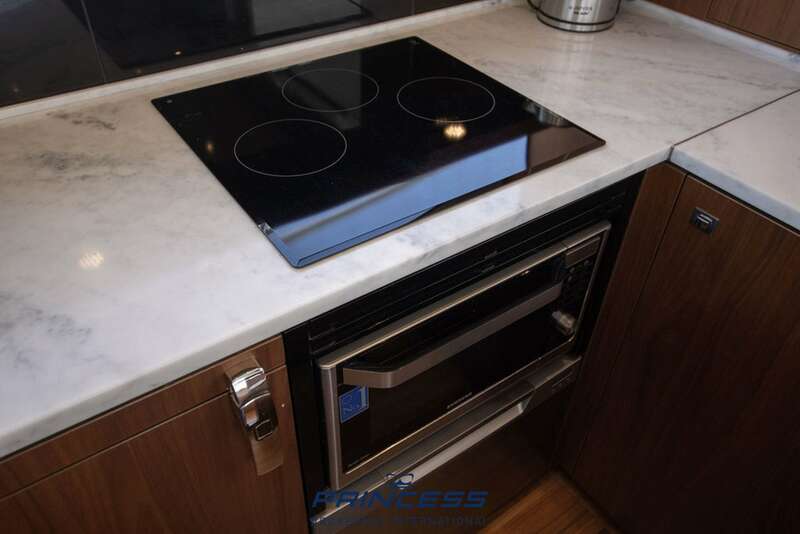 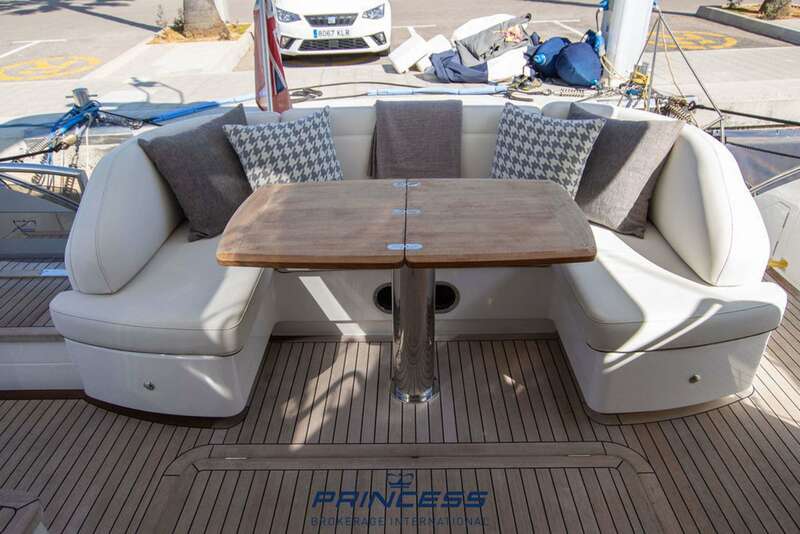 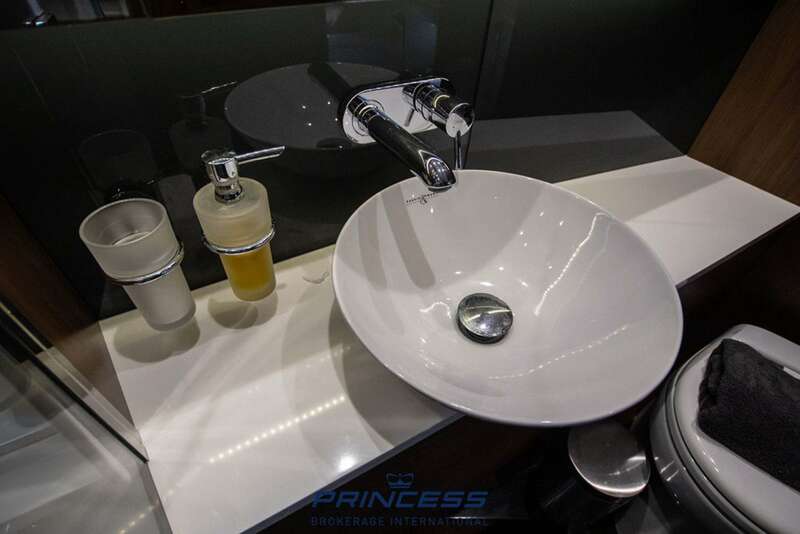 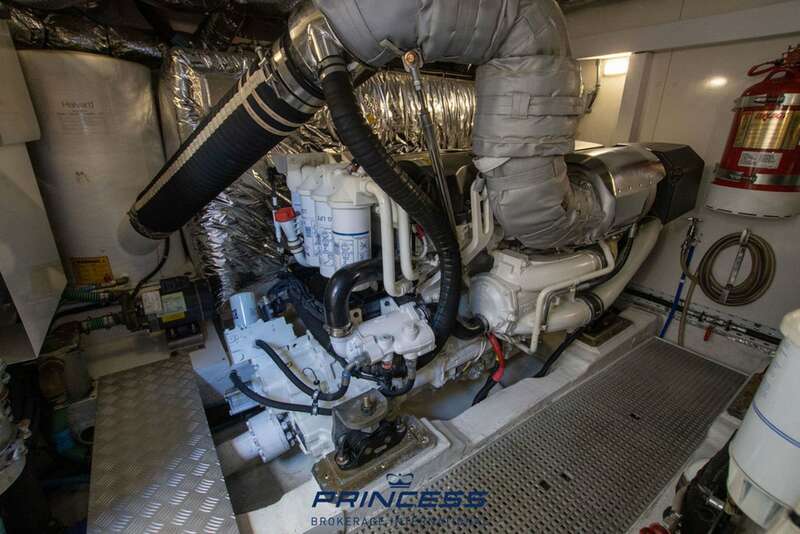 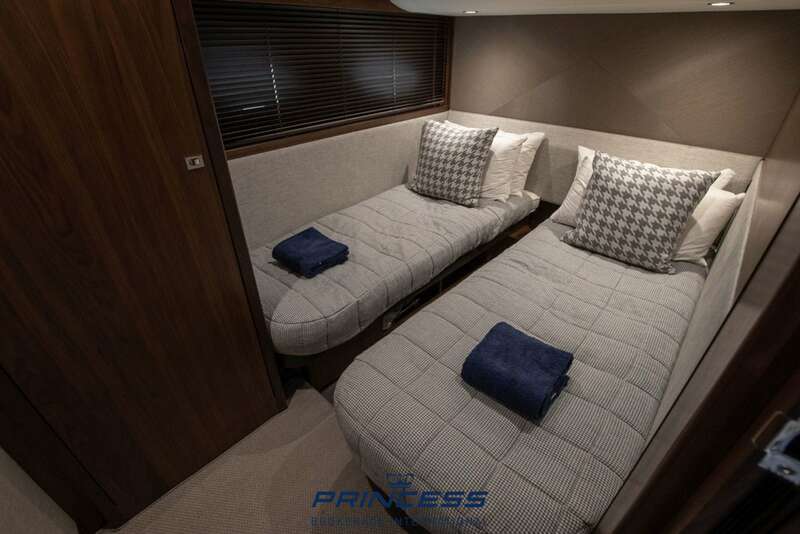 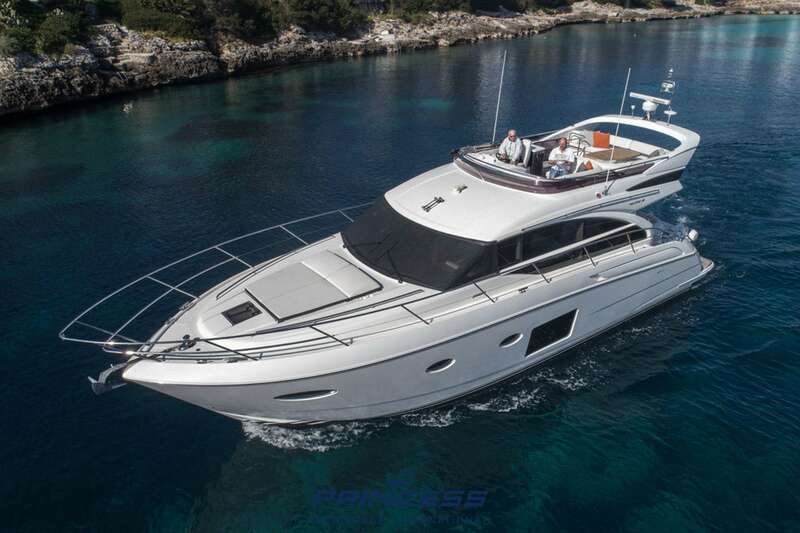 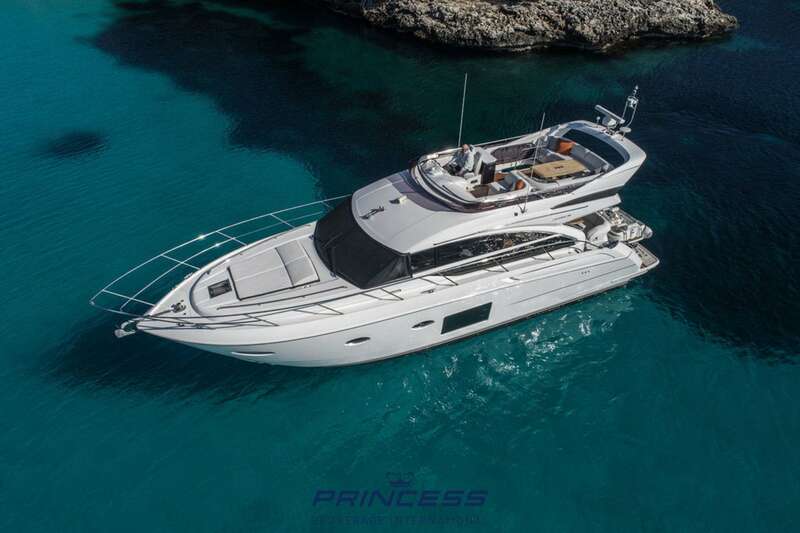 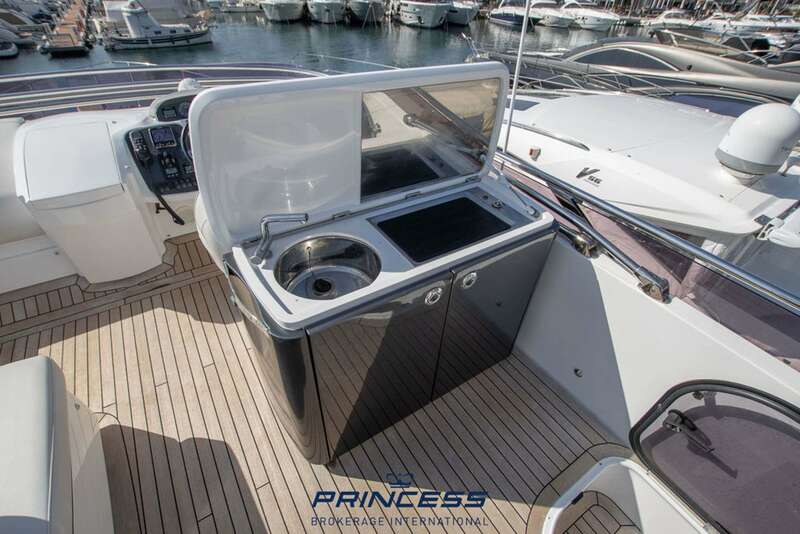 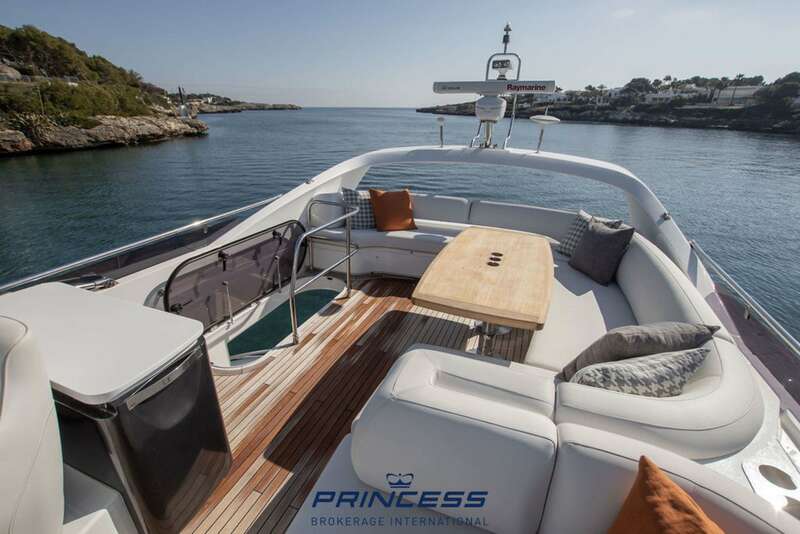 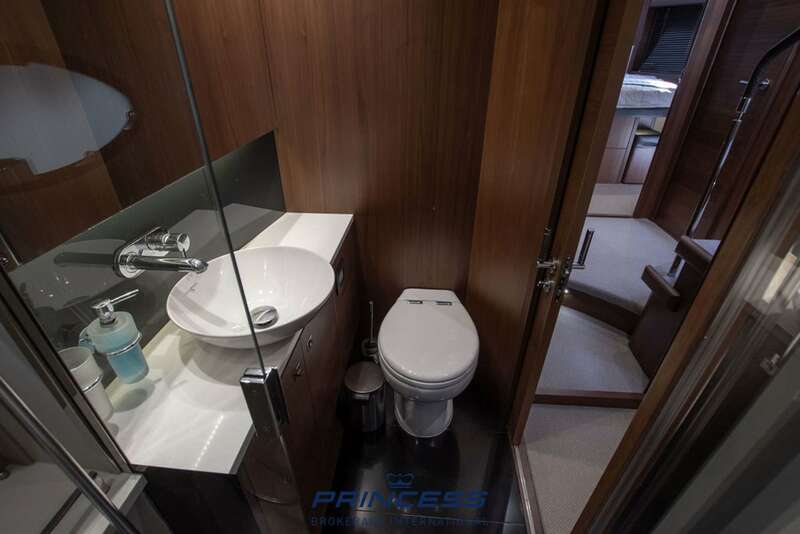 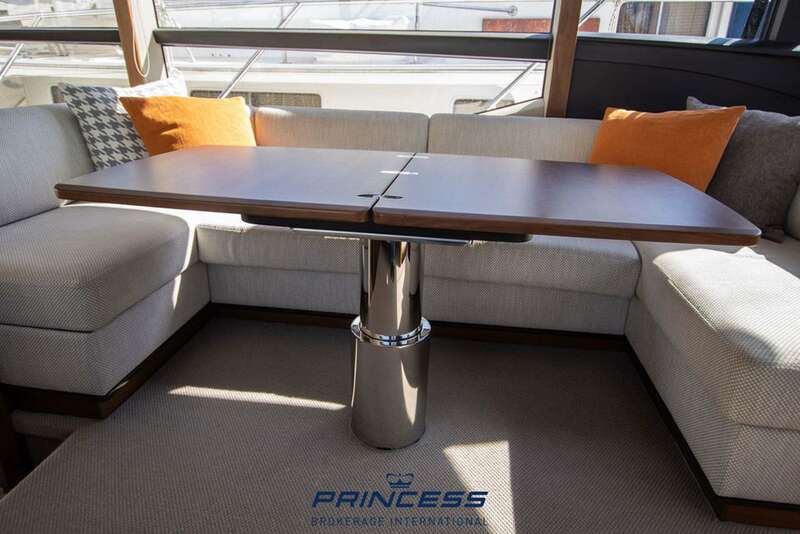 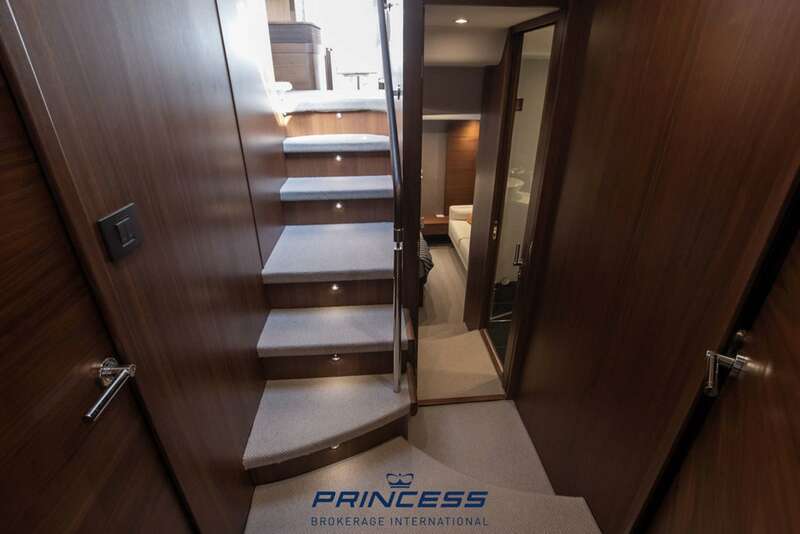 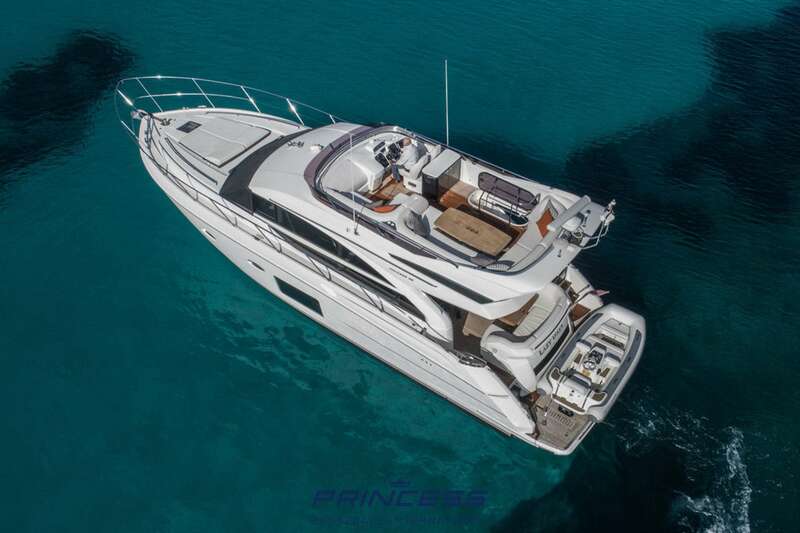 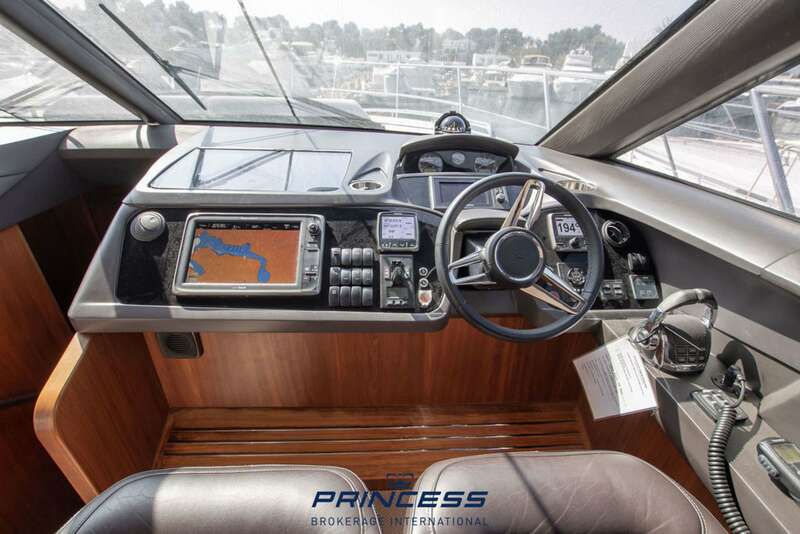 2015 Princess 52 fitted with twin Volvo D11 - 725 (2 x 725hp each) diesel engines with 280 hours. 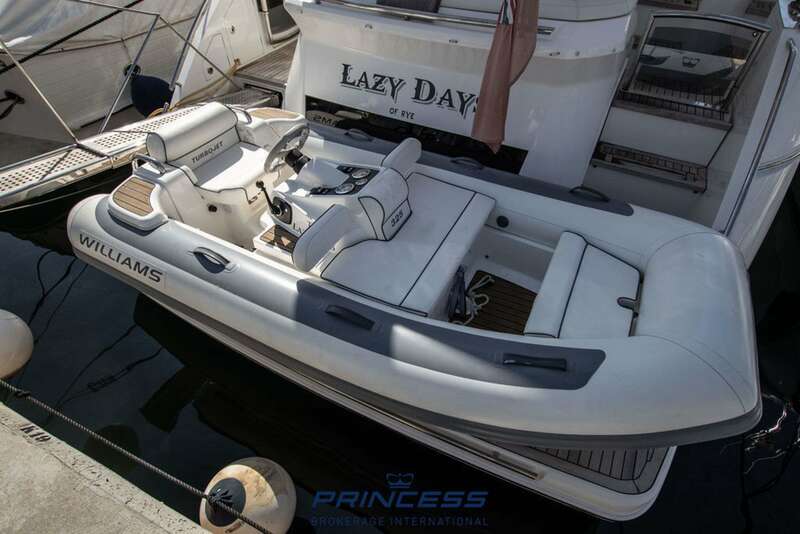 1 owner boat, bought new in 2015 from Princess with multiple extras. 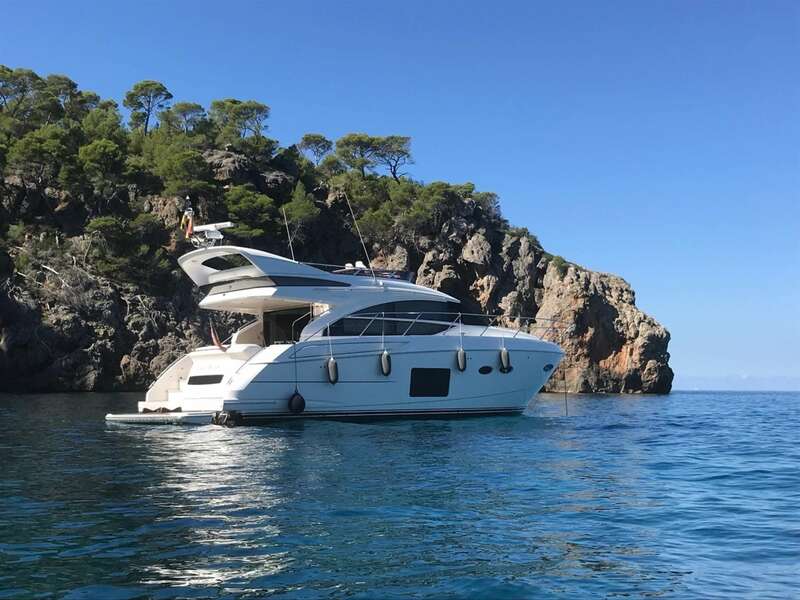 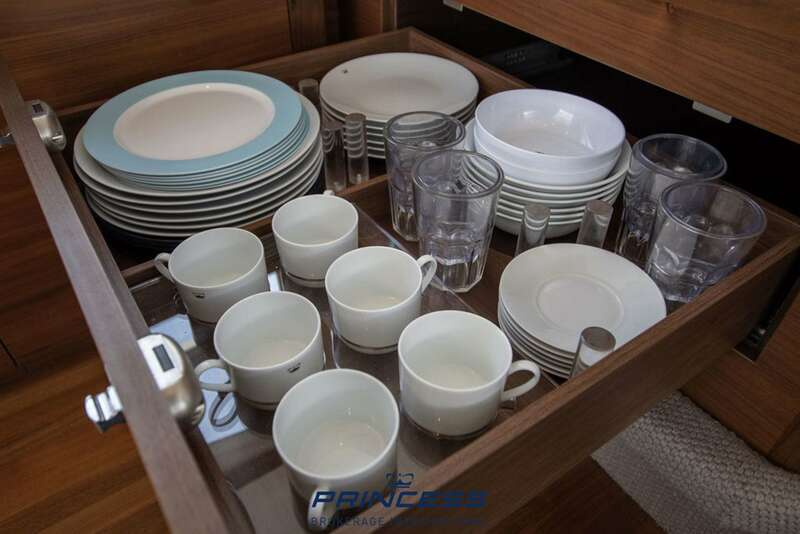 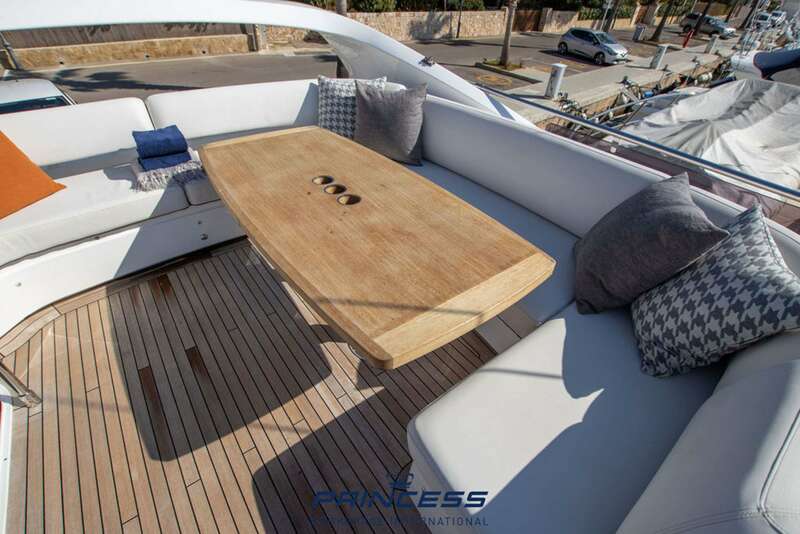 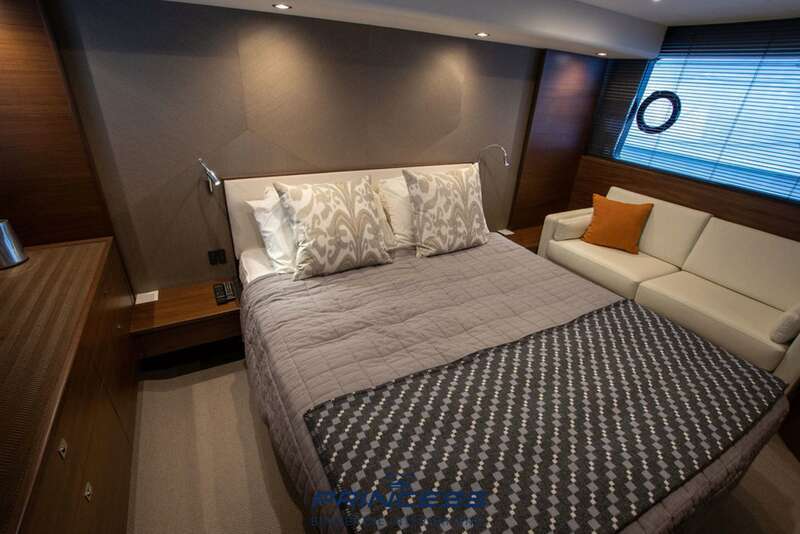 The long list includes a premium audio system upgrade, electro-hydraulic swimming platform, a teak laid flybridge deck, electric grill fitted to Flybridge wet bar, White hull, Walnut interior wood satin finish, Carrera white galley worktop, Raymarine dual station autopilot, Xenta dual station joystick control, letterbox type passerelle with automatic handrail and remote control, ONAN 11kW/50Hz generator, air-conditioning/heating reverse cycle. 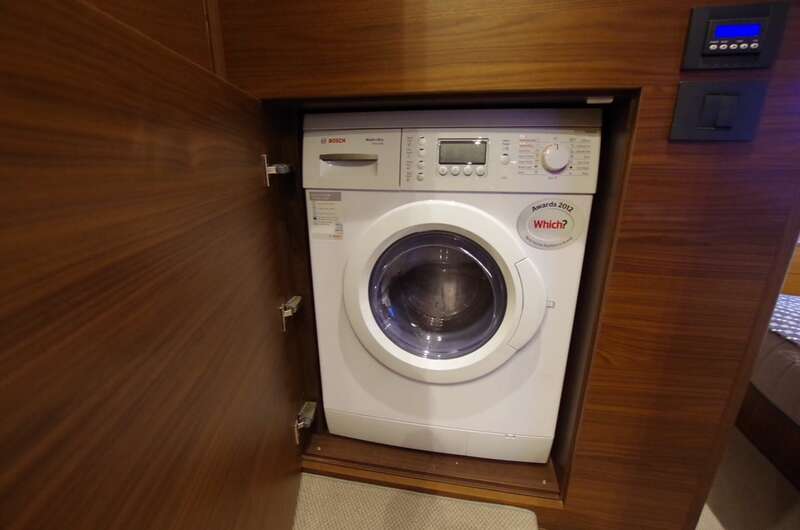 UK VAT paid. 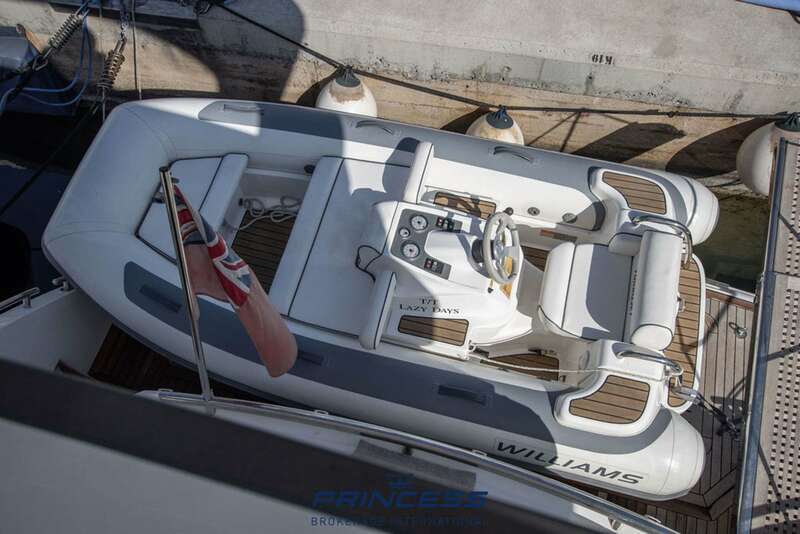 For more information or to arrange a viewing for this boat please contact sales@boats.co.uk or give us a call on 01702 258 885. 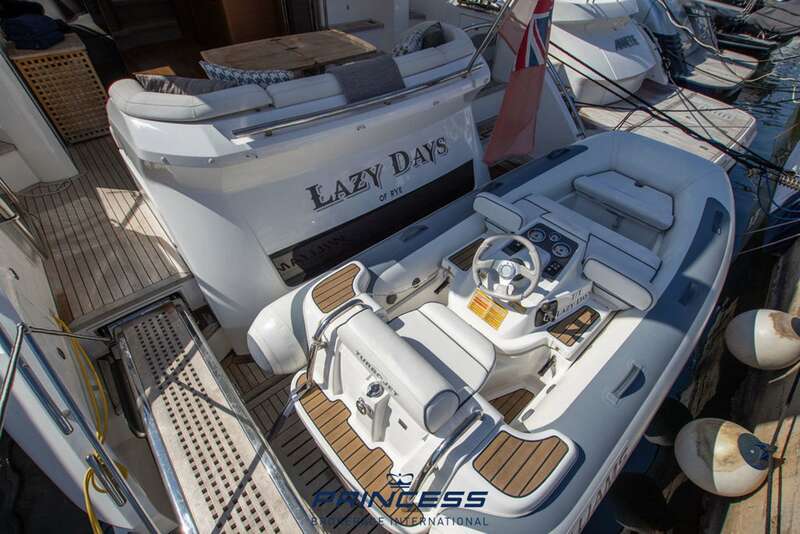 Buy this boat for as little as £8,461.41 per month. 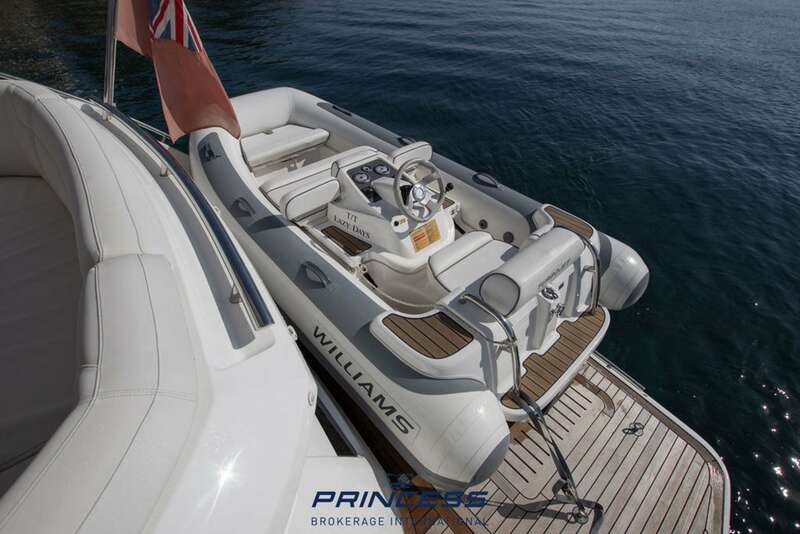 Insure this boat for as little as £5,519.66 per year.